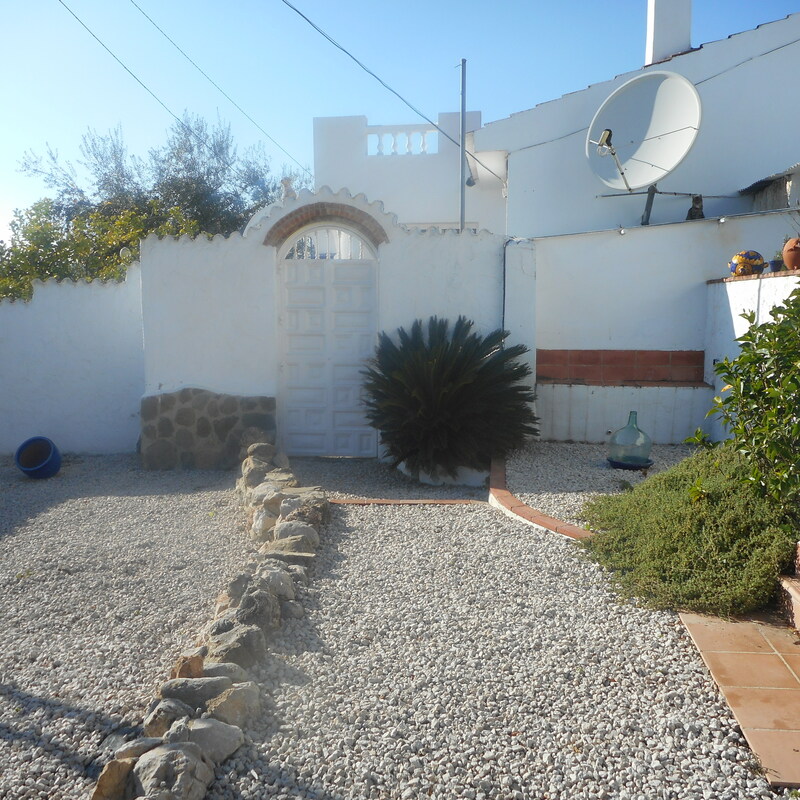 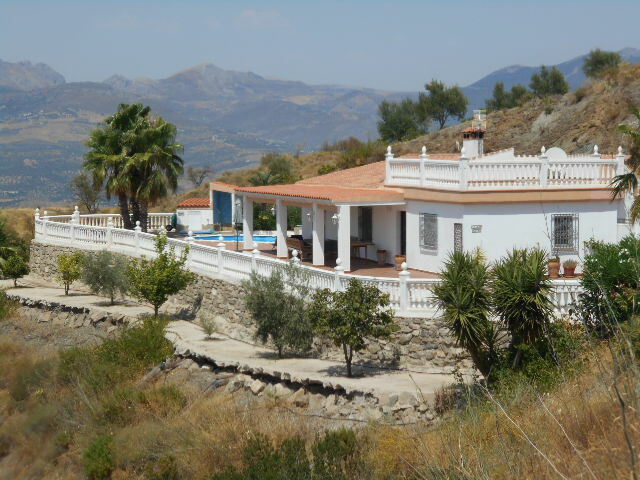 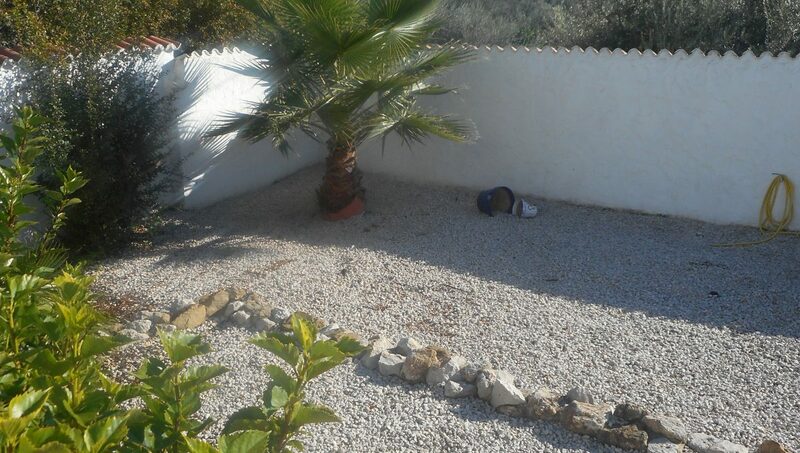 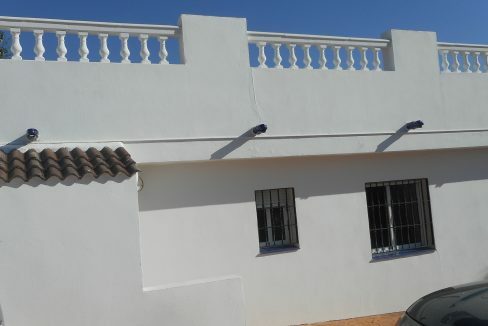 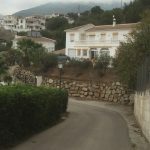 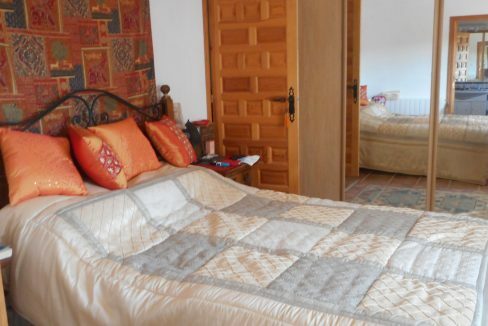 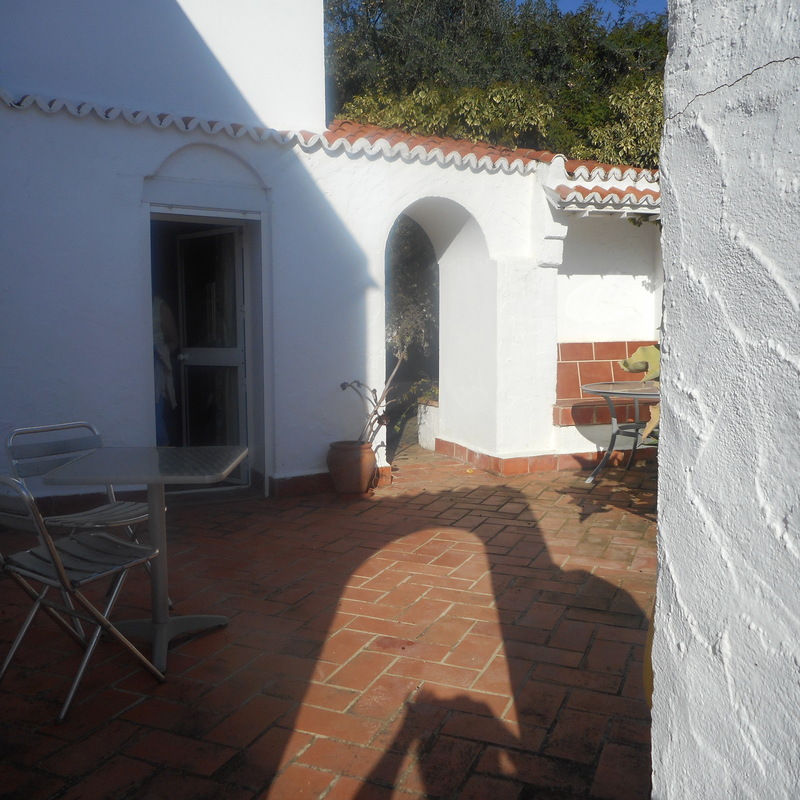 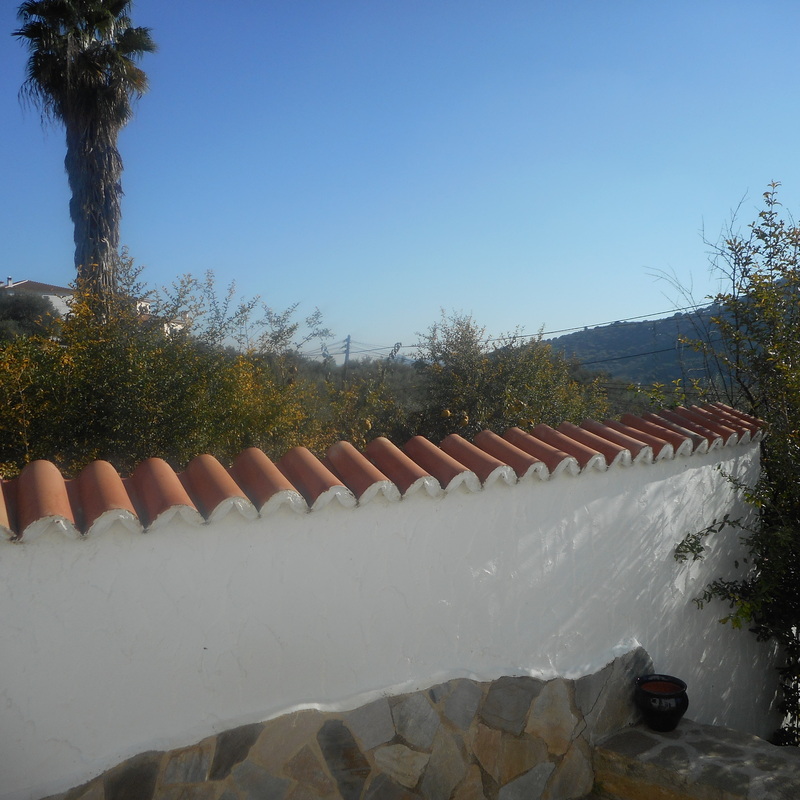 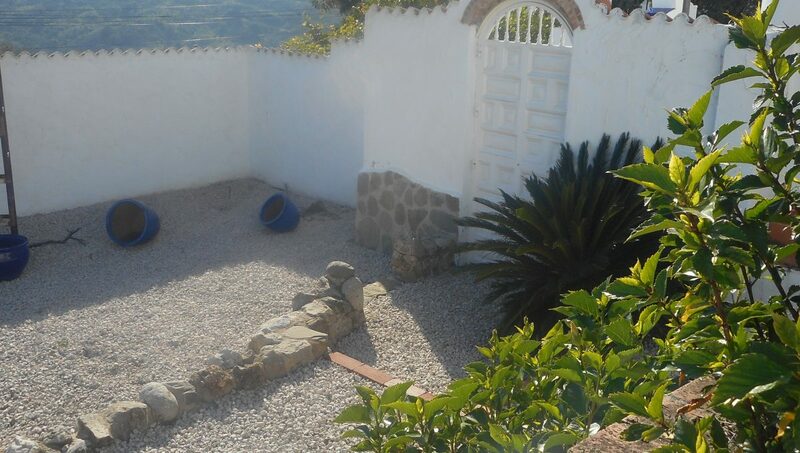 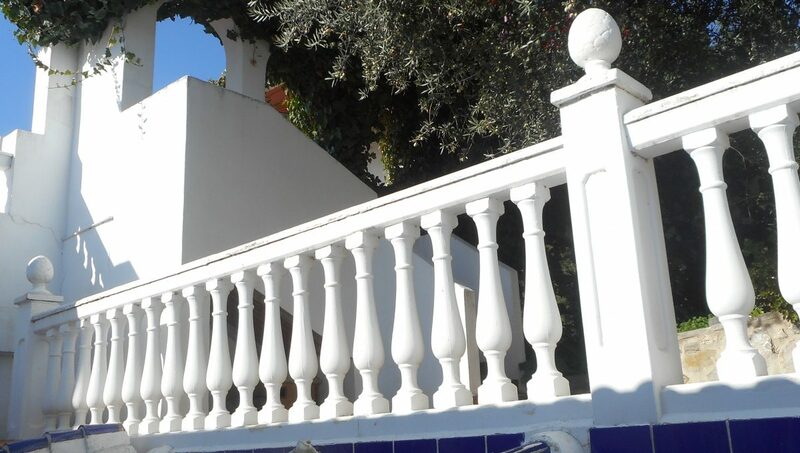 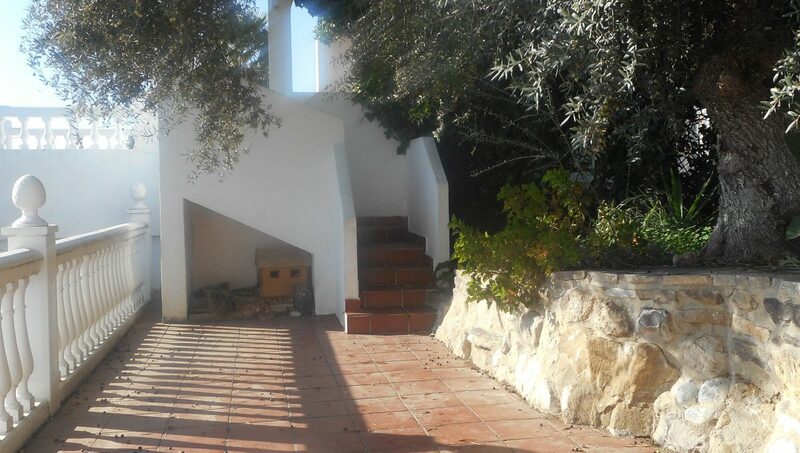 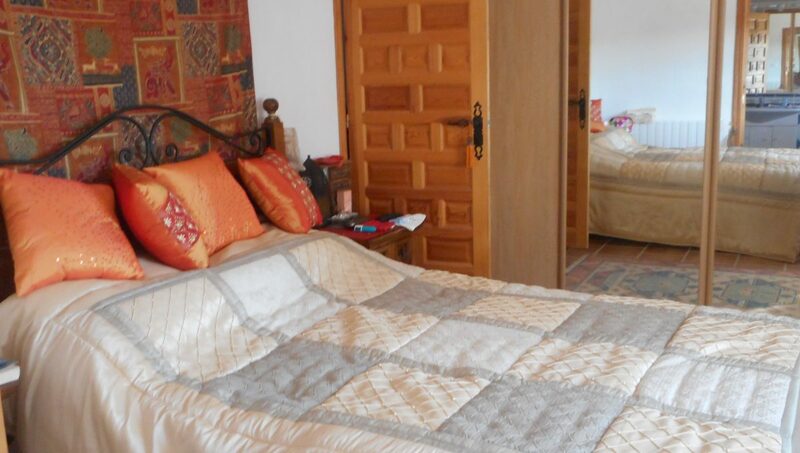 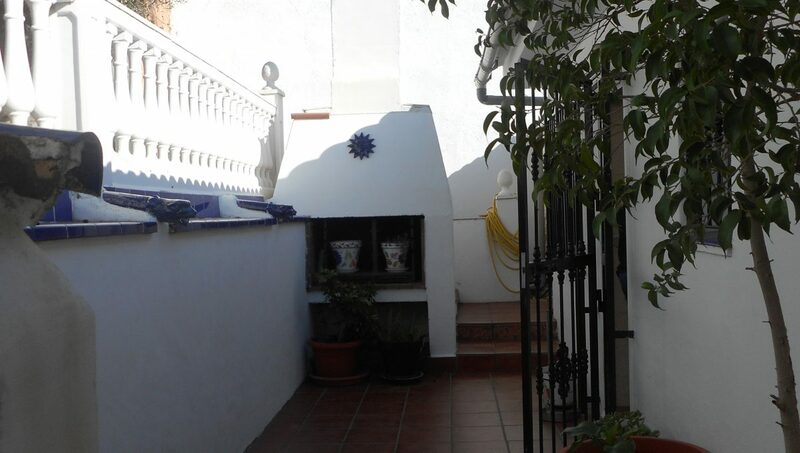 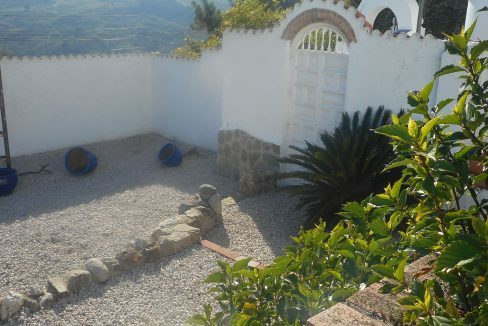 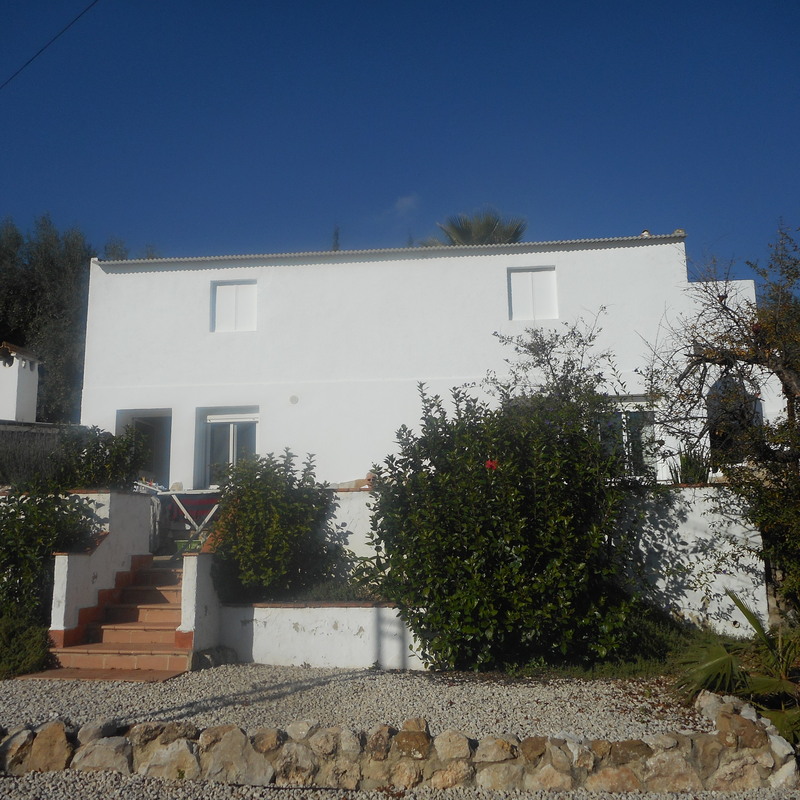 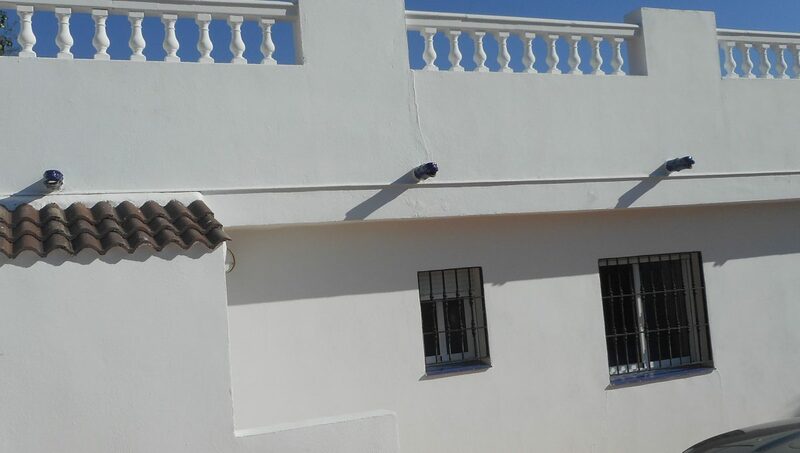 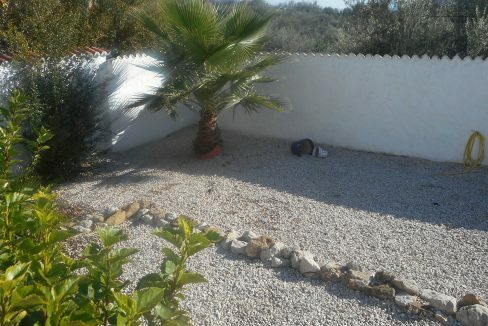 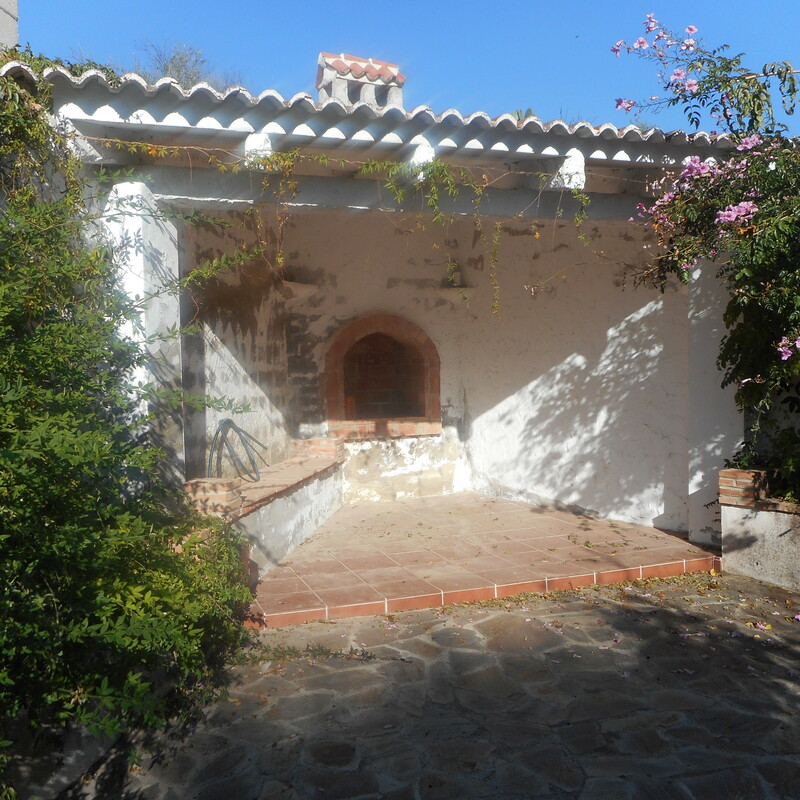 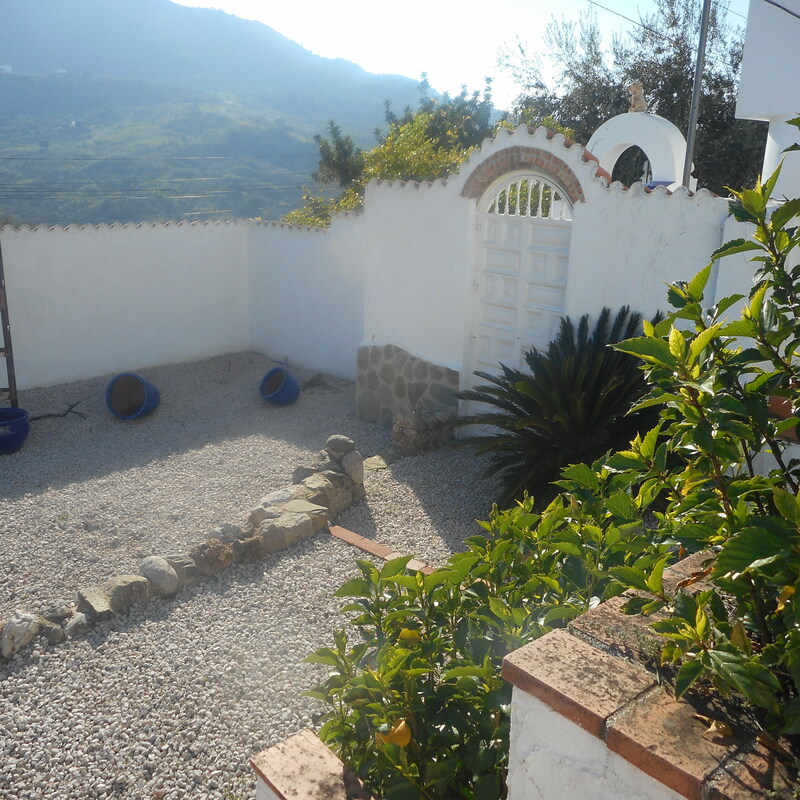 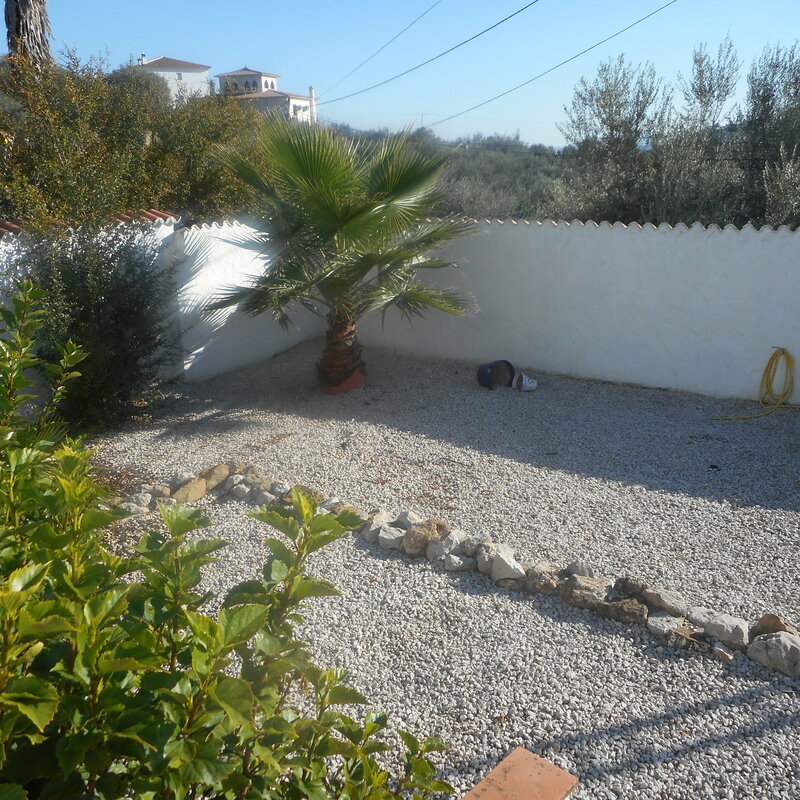 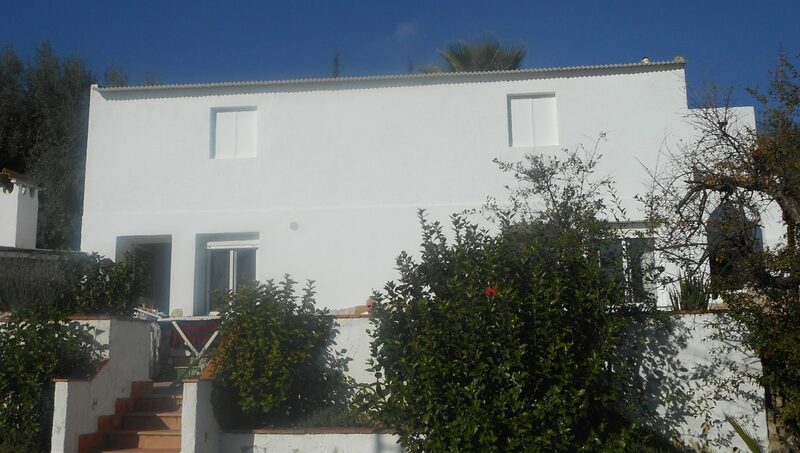 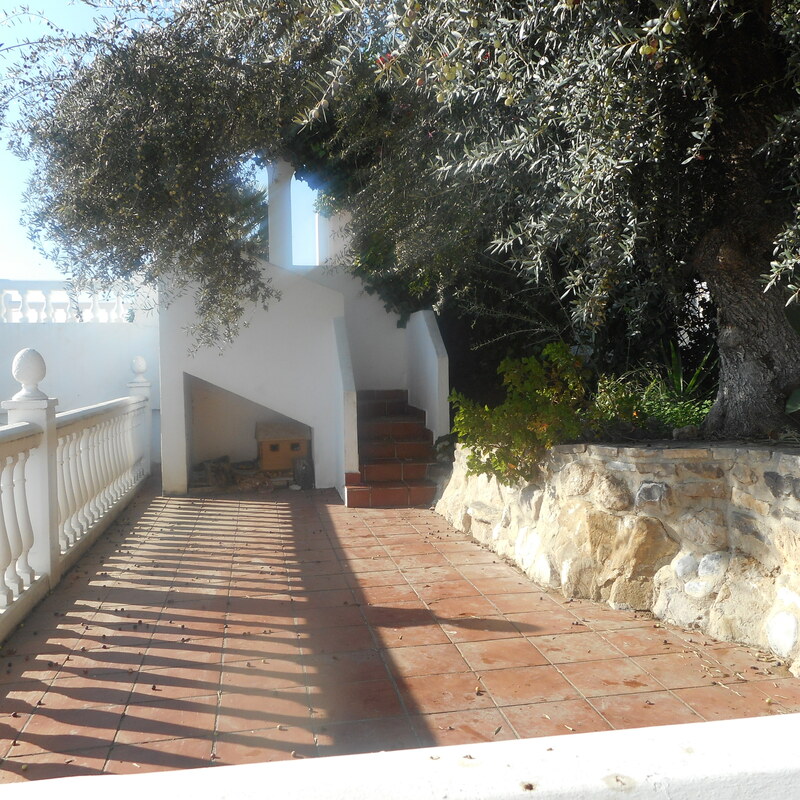 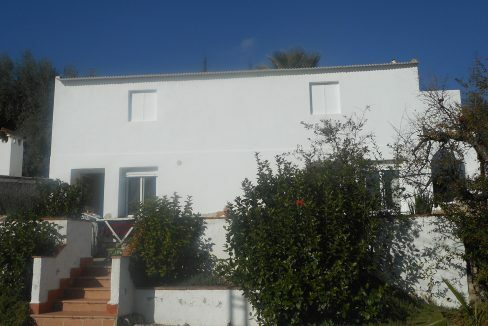 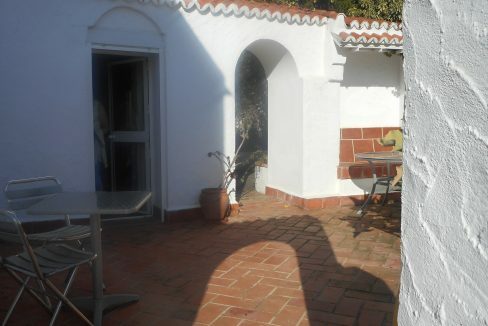 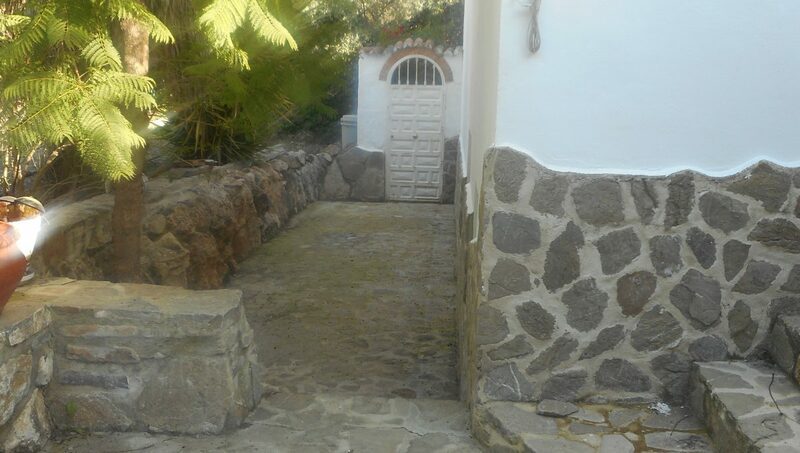 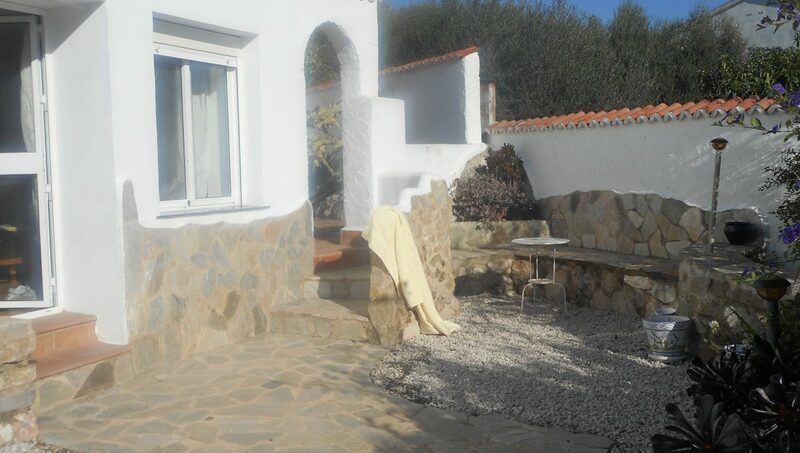 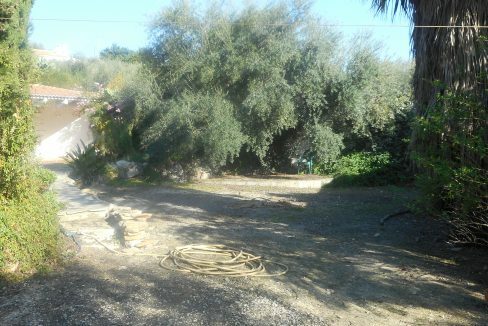 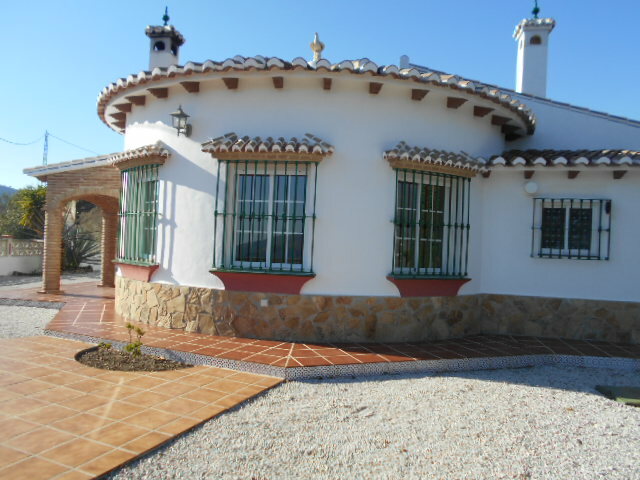 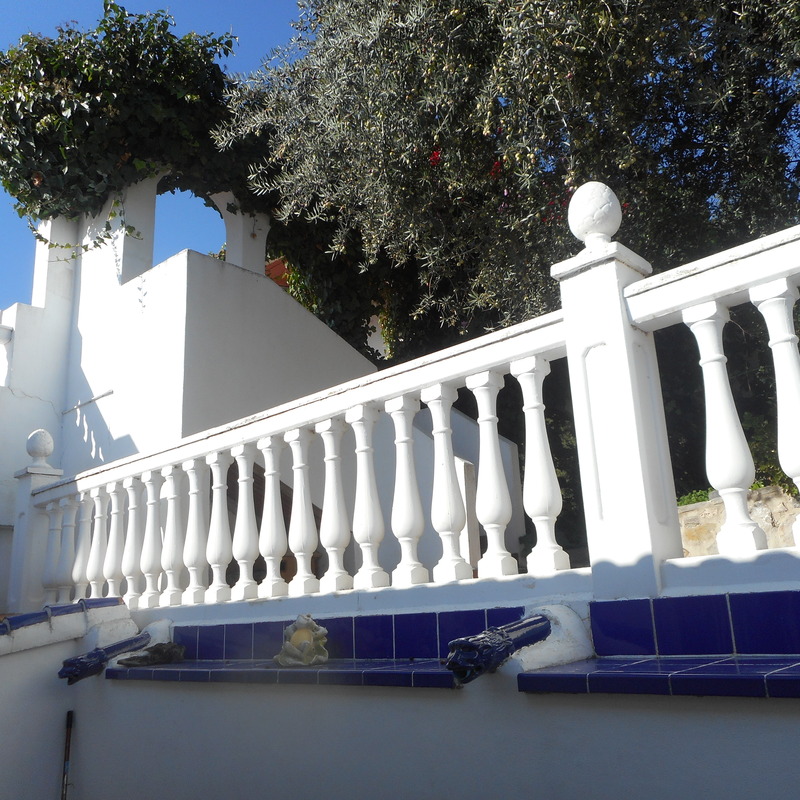 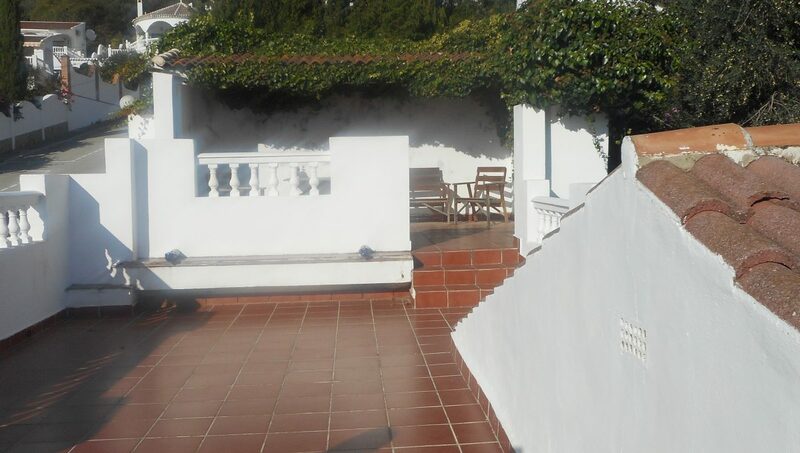 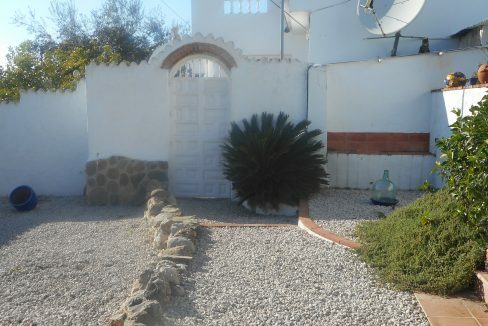 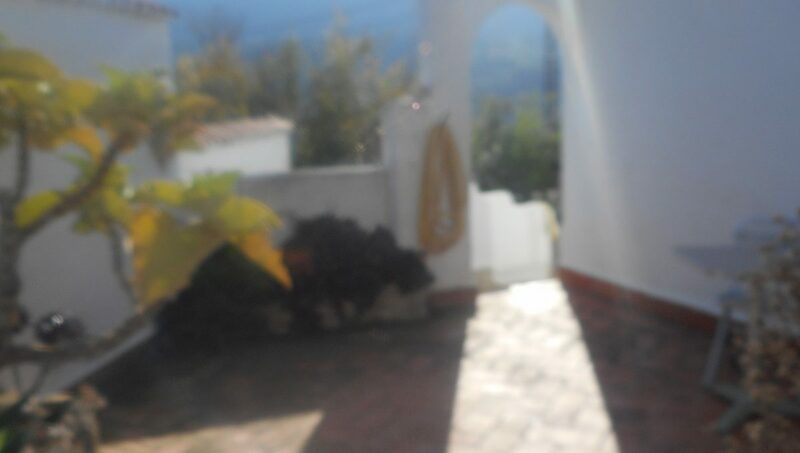 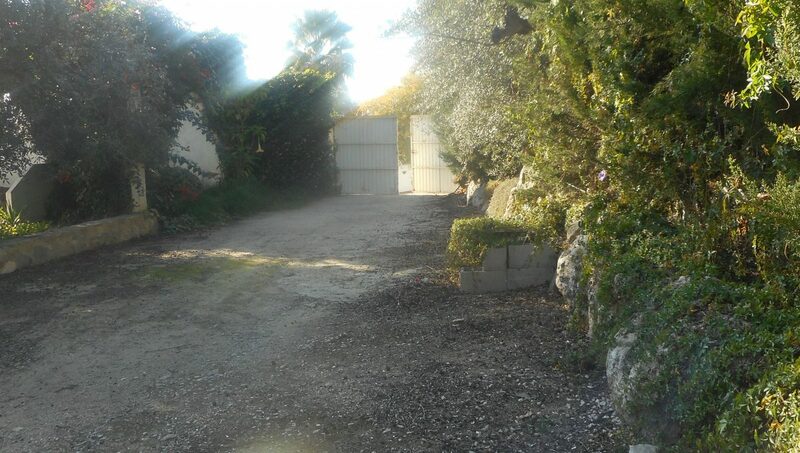 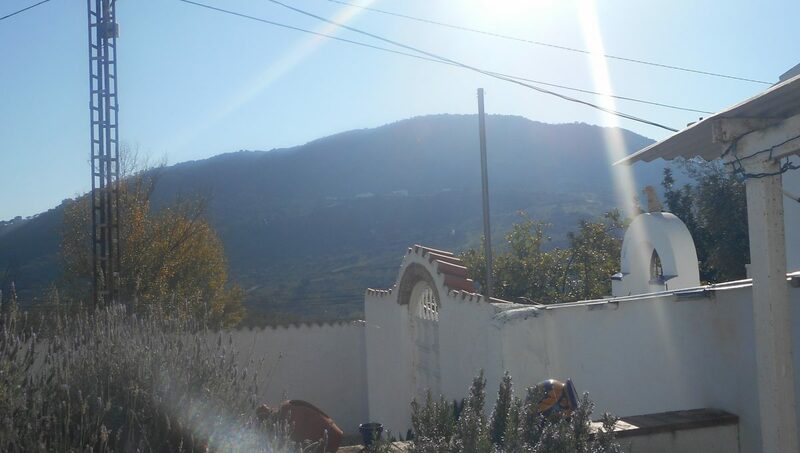 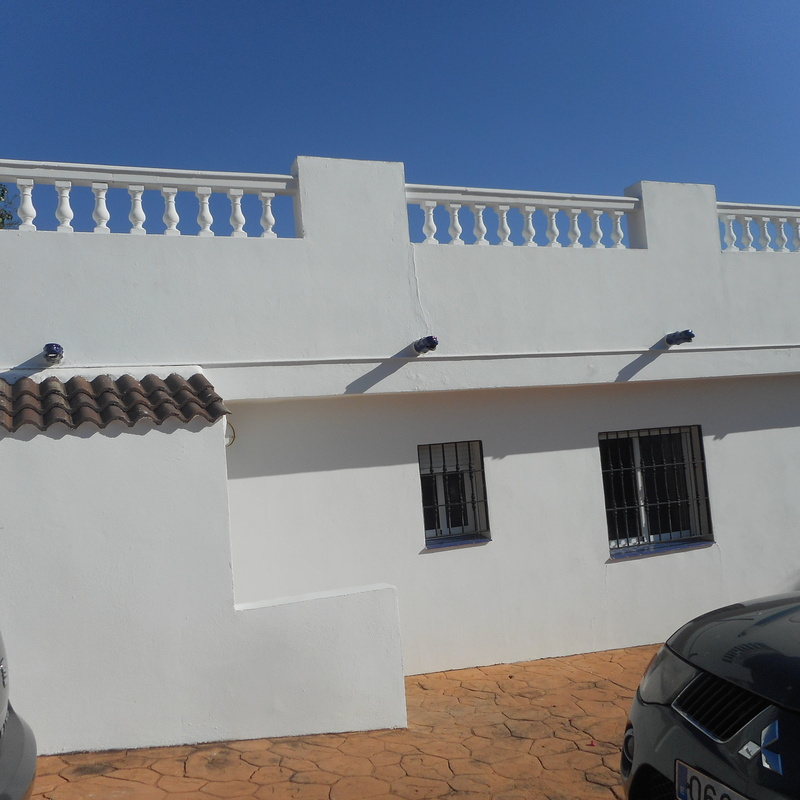 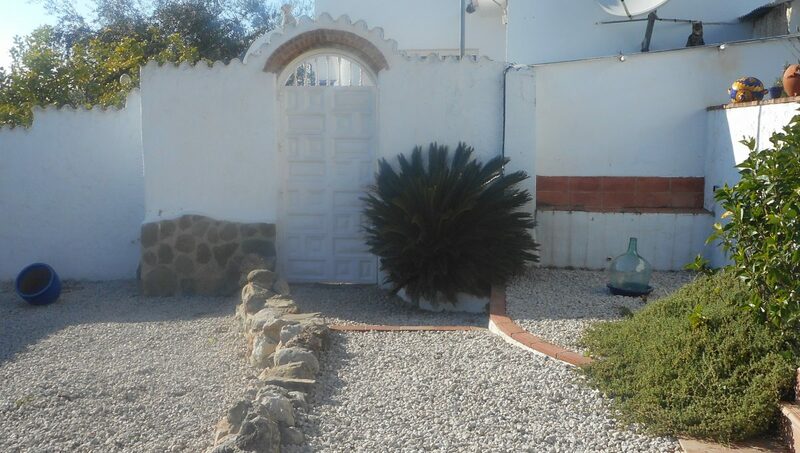 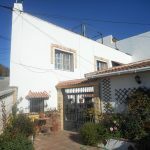 Casa de los Cabras is an Eclectic 4 bed, 4 bath reformed finca in the village of Mondron, which at present is set out with 3 dwellings all with separate entrances, plus a large storeroom which has planning permission for a 2 bedroom apartment. 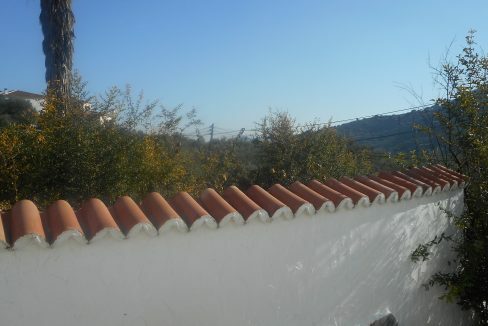 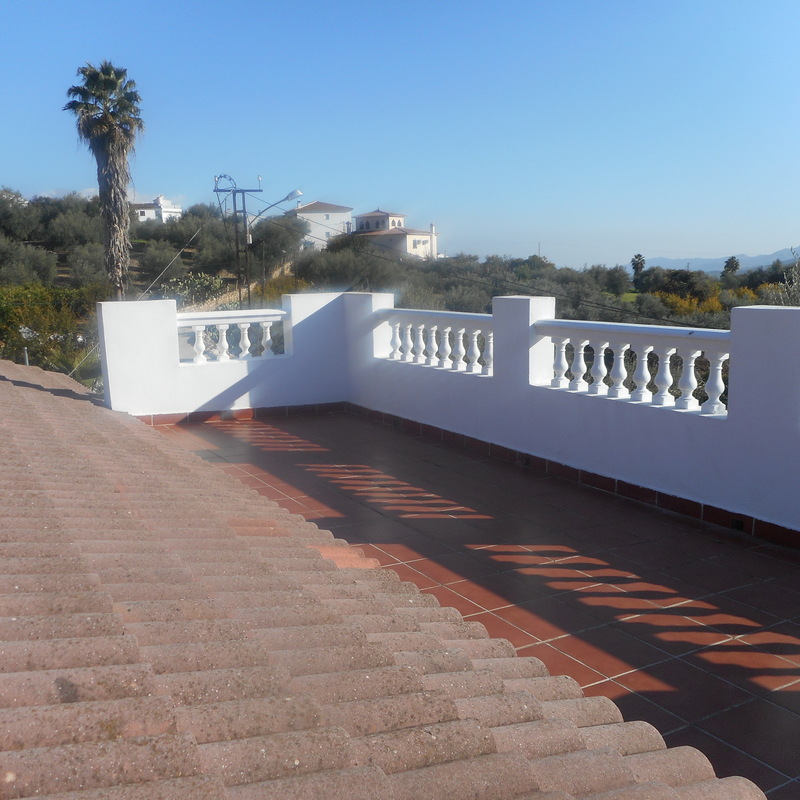 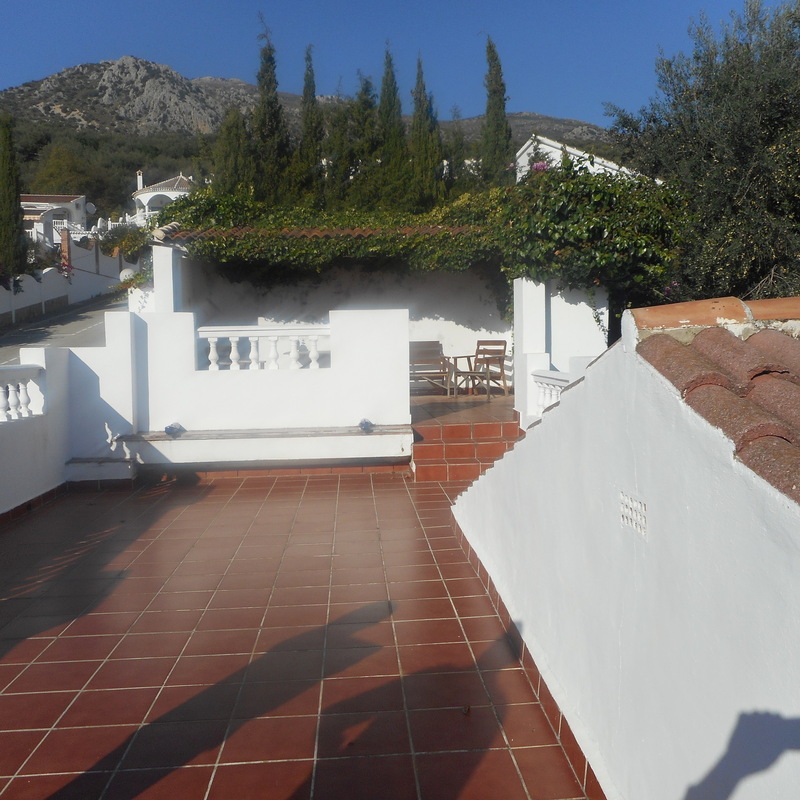 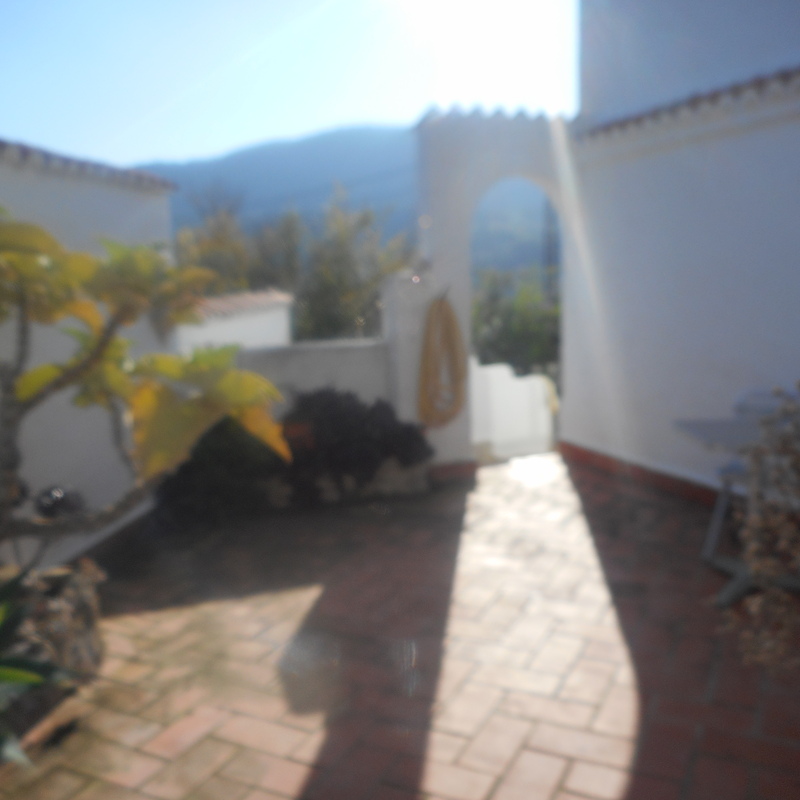 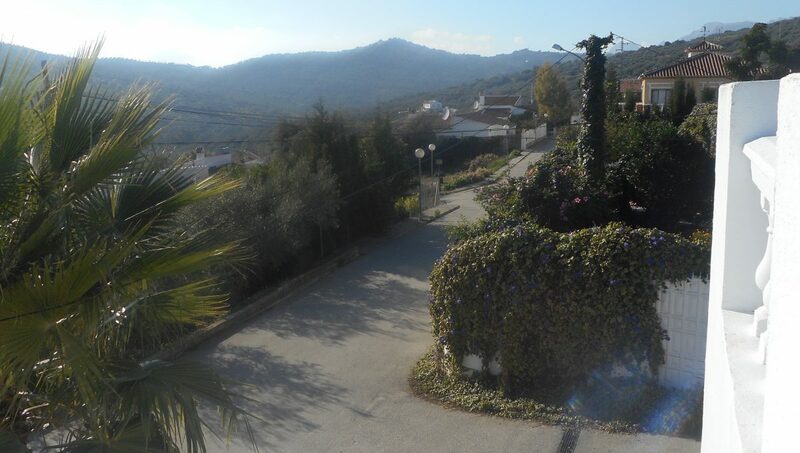 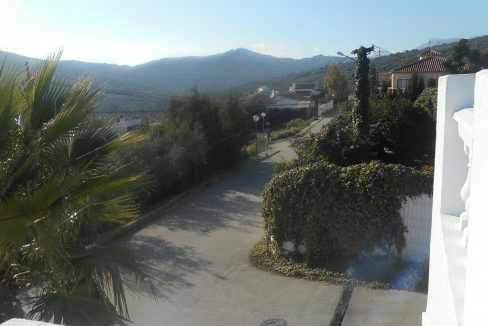 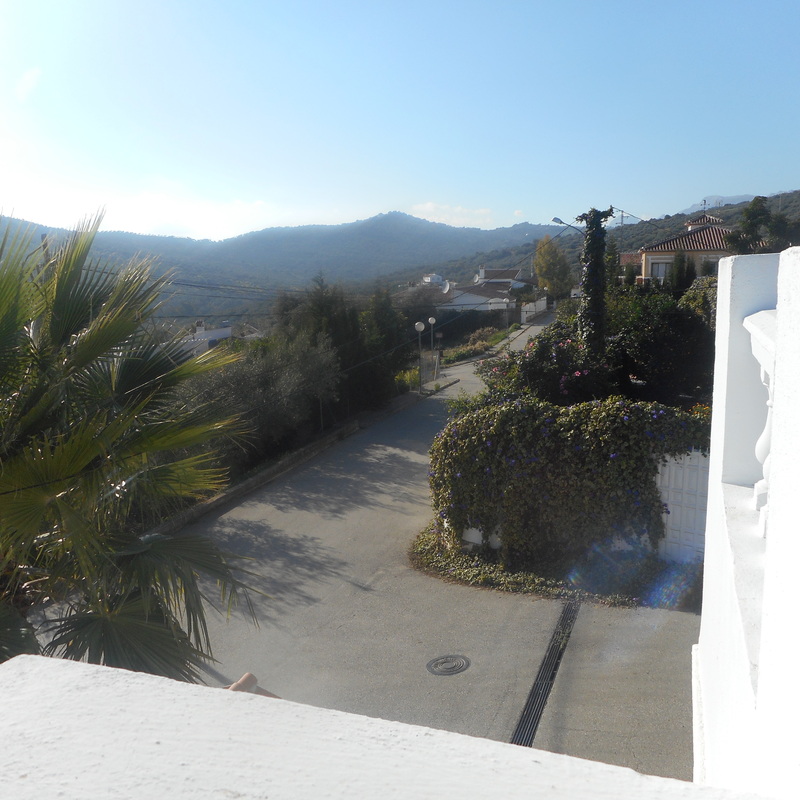 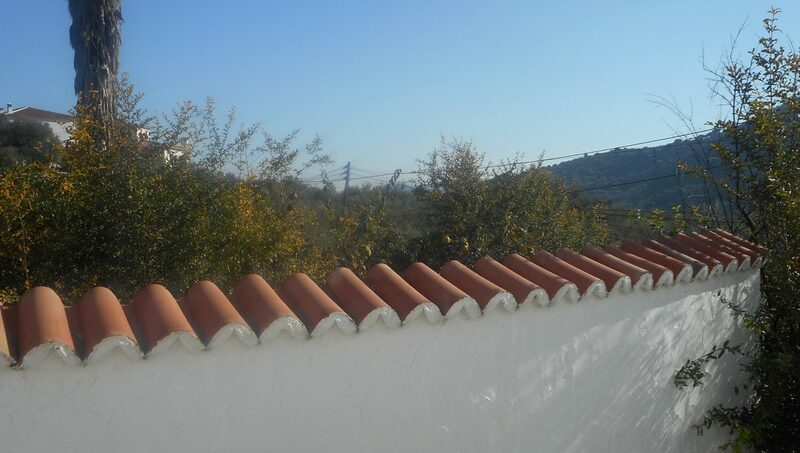 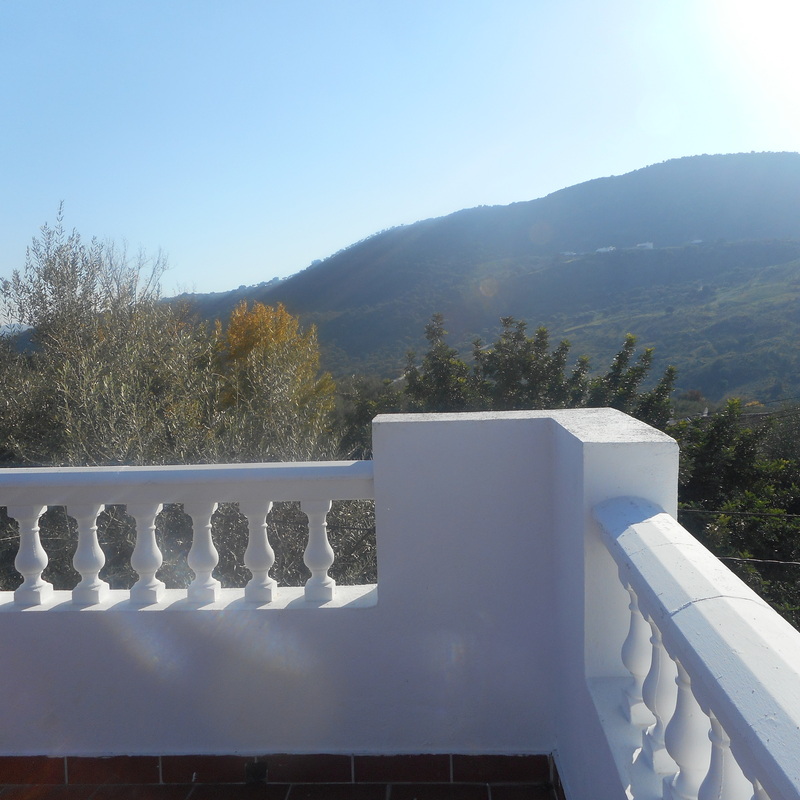 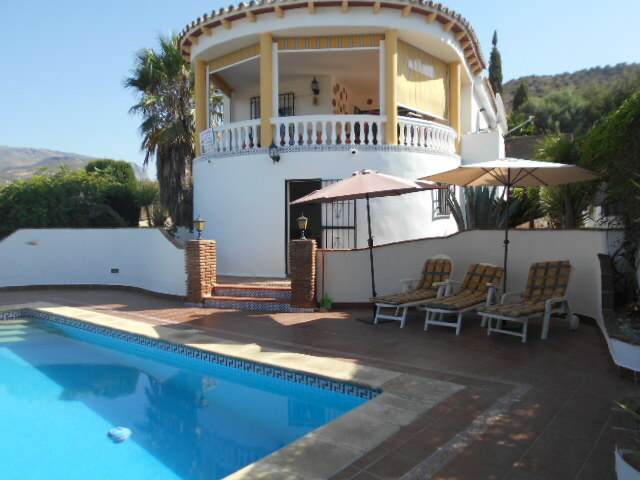 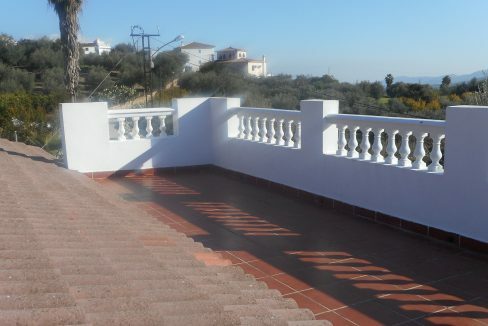 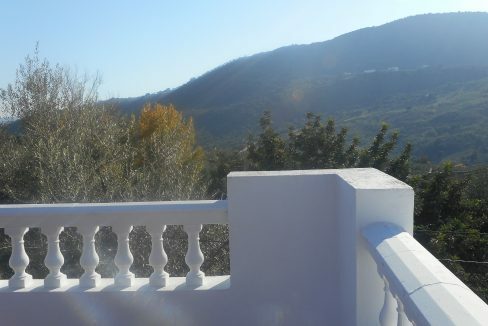 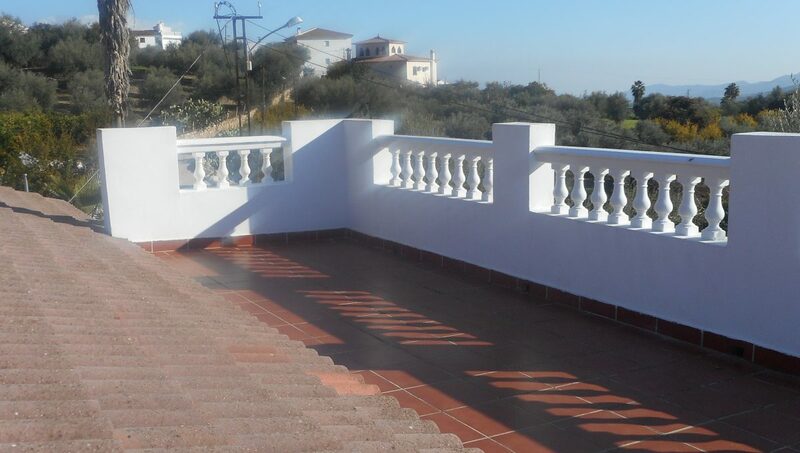 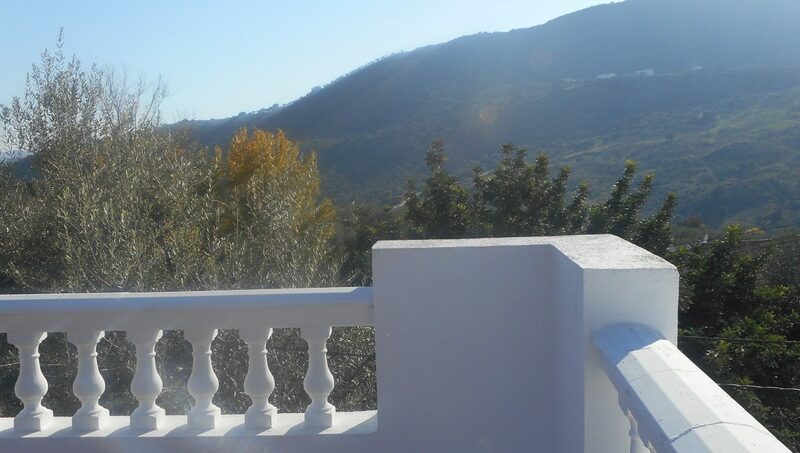 Stunning mountain and countryside views from the various terraces and the roof terrace. 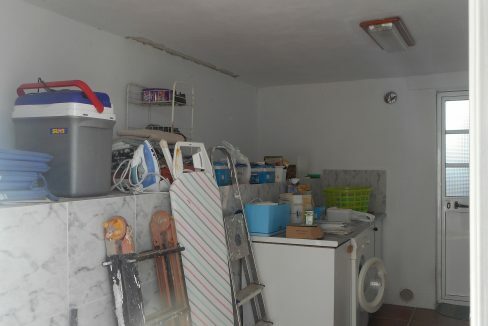 An integral garage to the front of the property and a gas bottle storage cupboard. 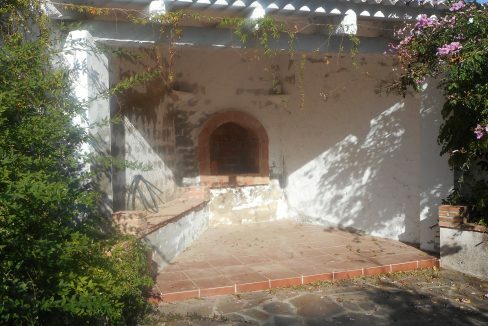 On entrance to the main property you have the utility/laundry area with cupboards and alot of storage space, door to a courtyard area with brick built BBQ and dog kennel/wood store. 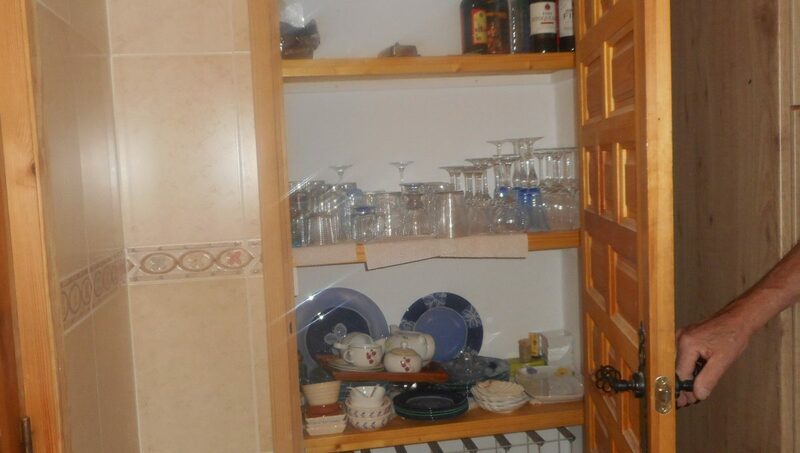 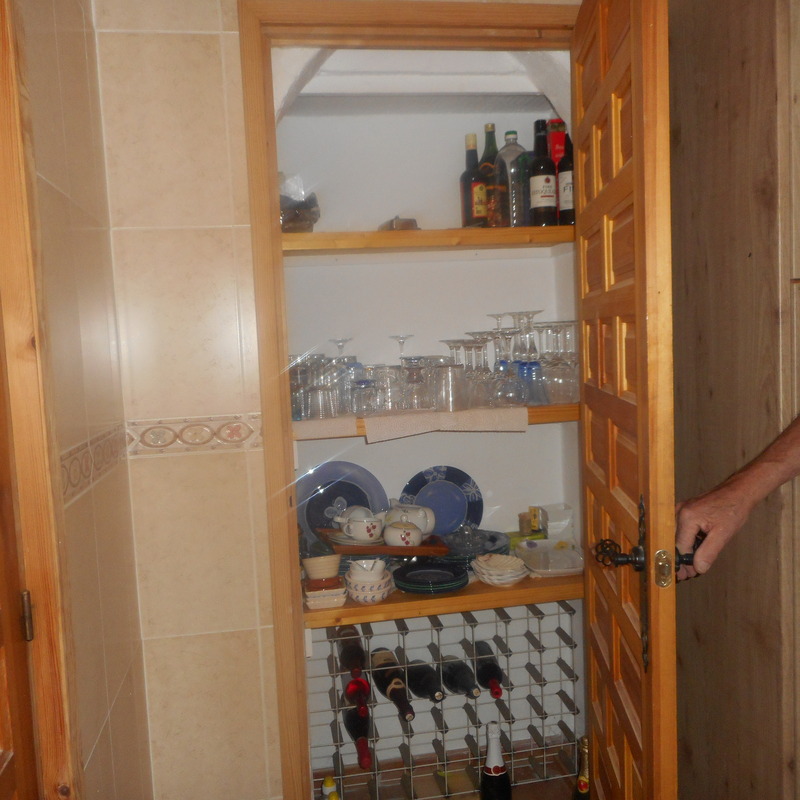 Main house access is directly into the fitted kitchen with a further utility cupboard. 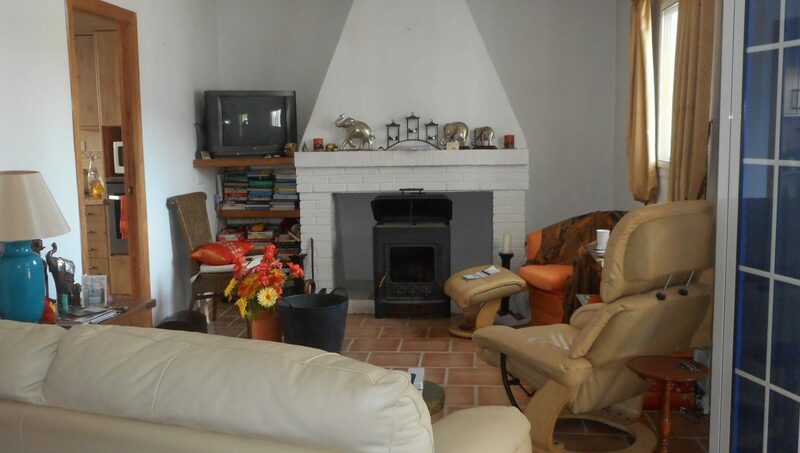 Lounge/diner with log burner and into large sunroom off, 2 double bedrooms, 1 with ensuite and a guest bathroom. 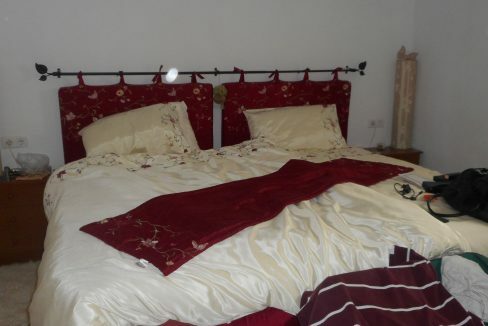 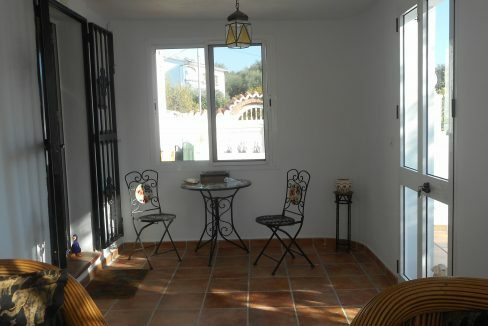 A covered area with dining area and terracing and access to the 2nd seperate accommodation which has double bedroom with ensuite shower room and wardrobes. 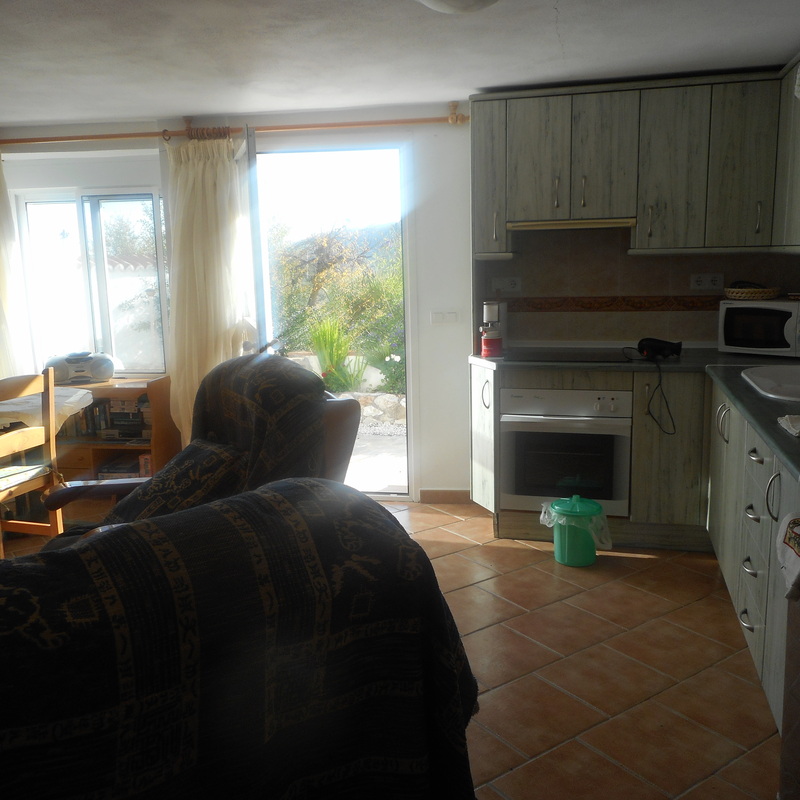 3rd separate accommodation is an apartment with lounge/diner with log burner open plan to fitted kitchen, double bedroom and bathroom. 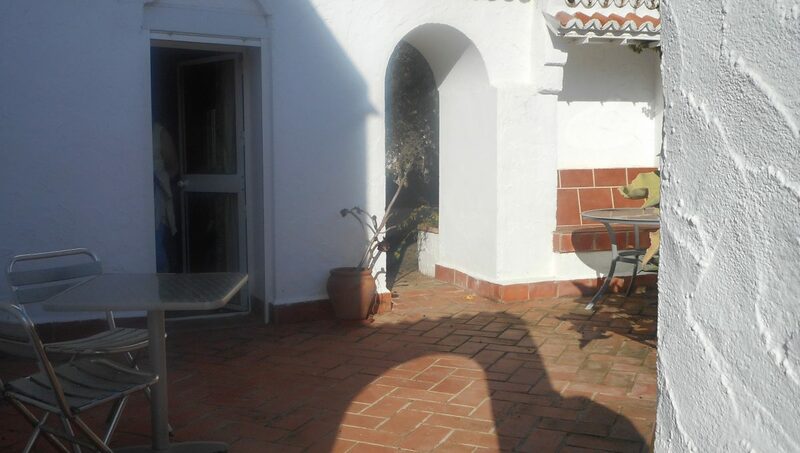 An area outside of here with chino to sunbathe and separate access door to the front of the property. 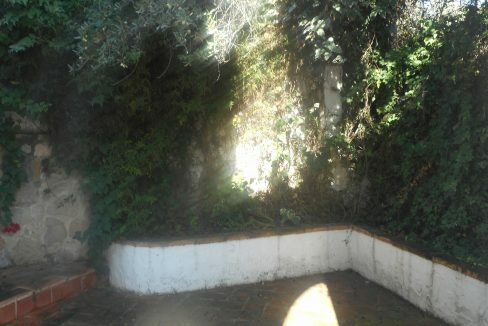 A small private courtyard area with plants and trees. 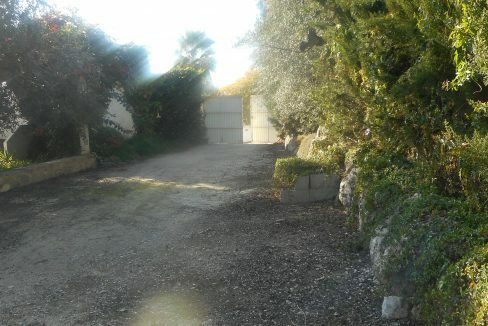 The garden areas to this property are substantial, landscaped and mature with shrubs and fruit trees, at the rear of the property you have a large area accessed via double gates direct from the road, here you could quite easily house a caravan or campervan. 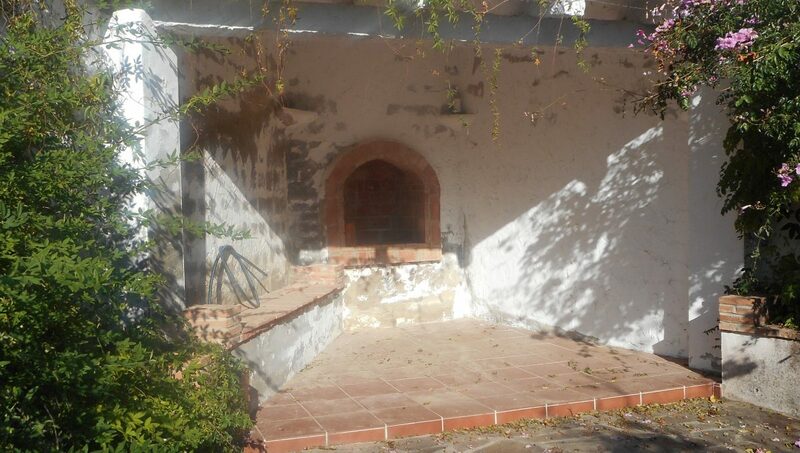 BBQ and bread oven to the rear with trees, plants etc. 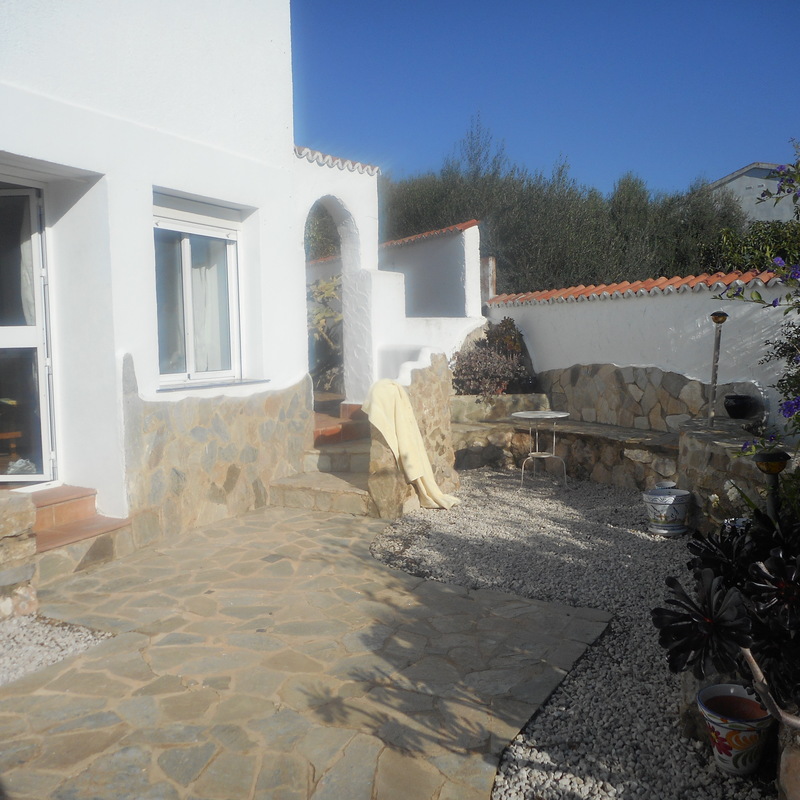 Plenty of space for an above ground pool and kitchen/bar area. 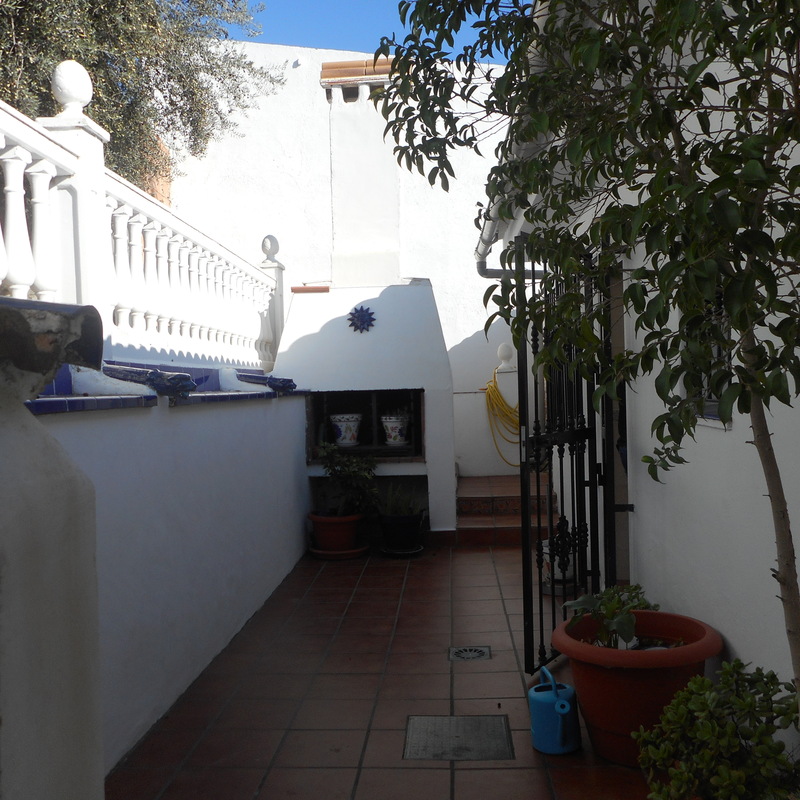 Through another pretty walkway up to the roof terrace where you have spectacular views and a pretty seating area to soak up the sun and views. 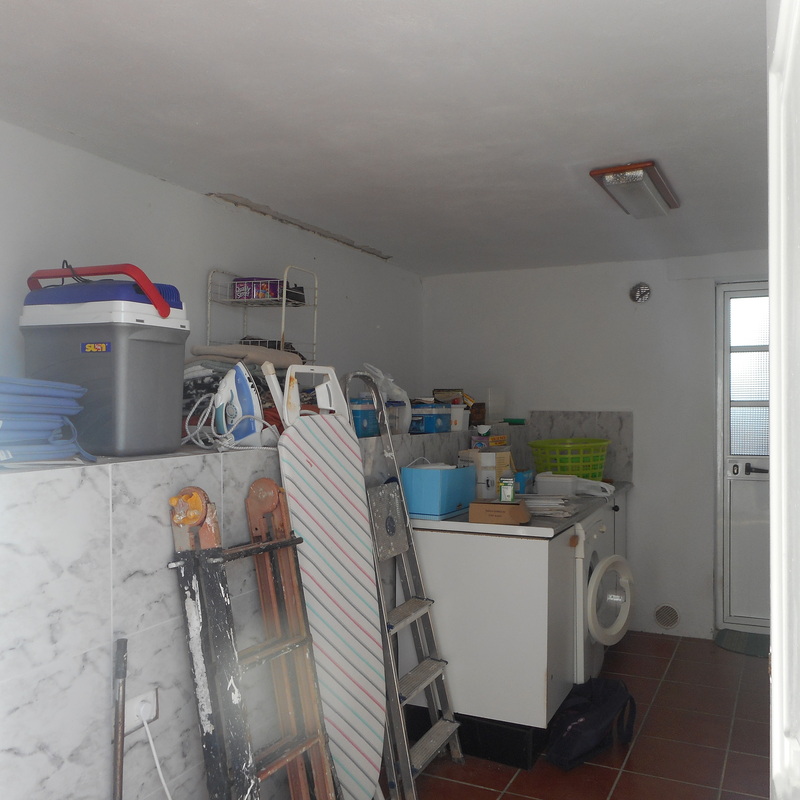 There is a large storeroom here which has planning permission for a 2 bedroom apartment, plus an outside w/c. 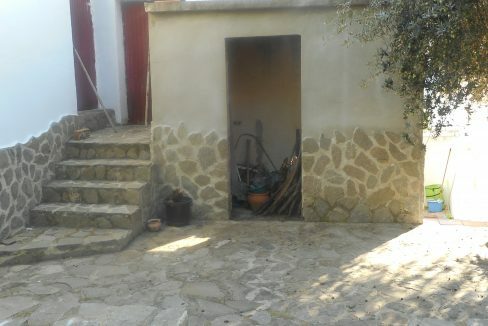 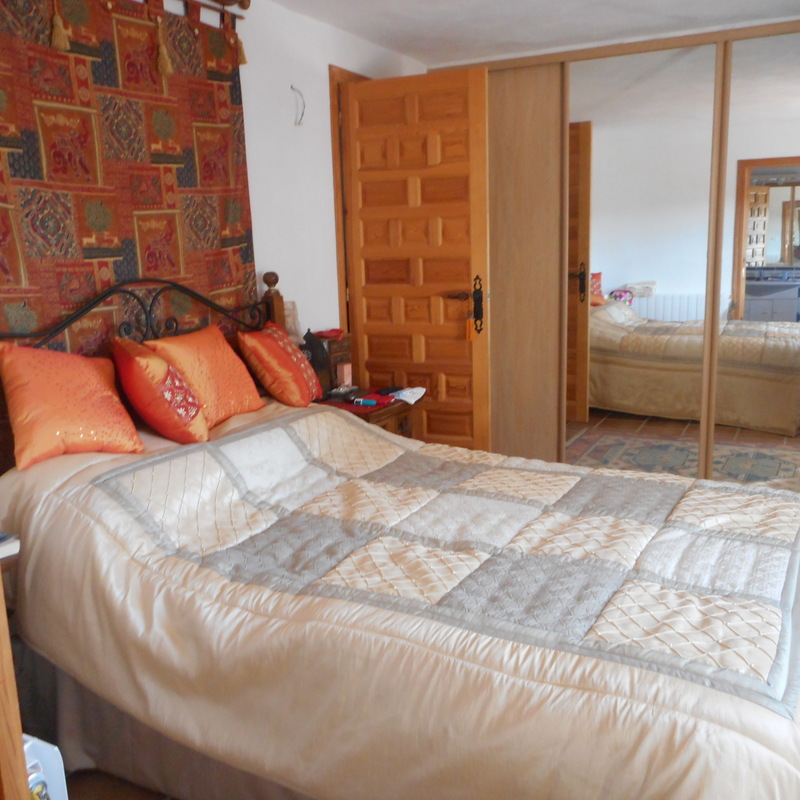 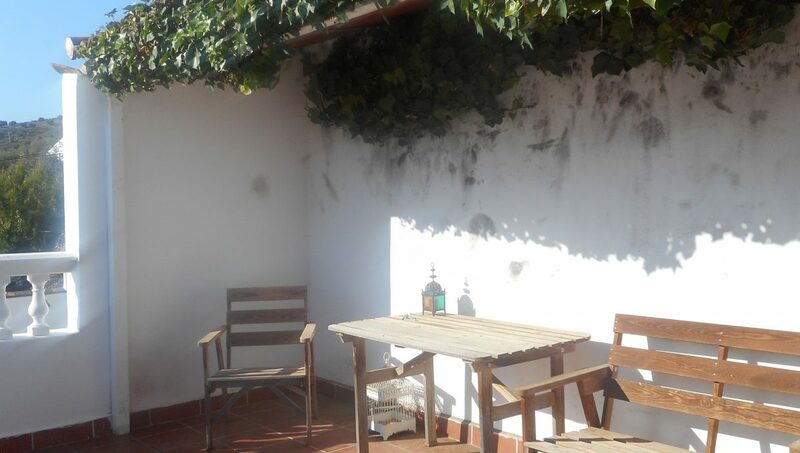 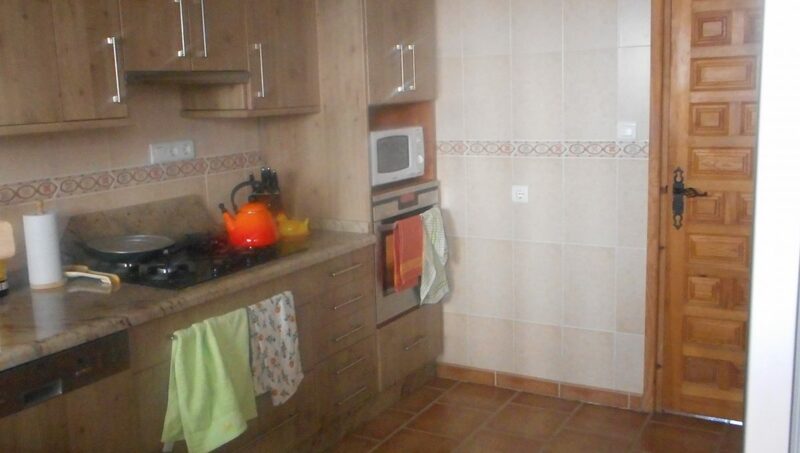 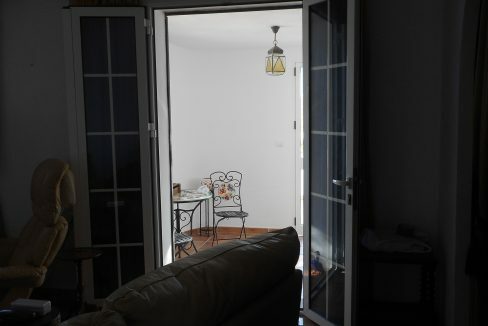 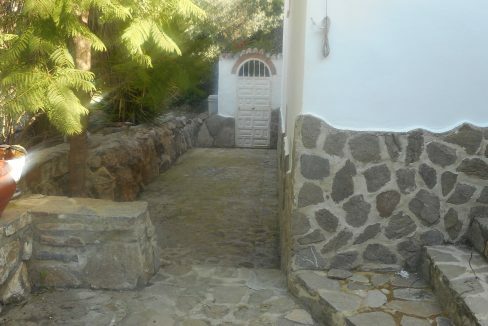 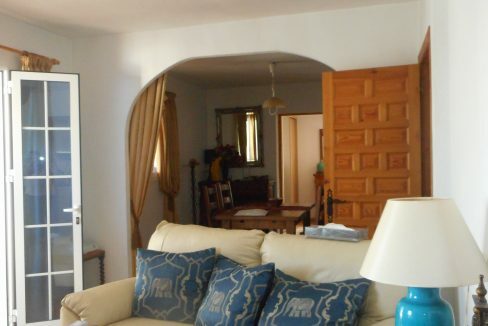 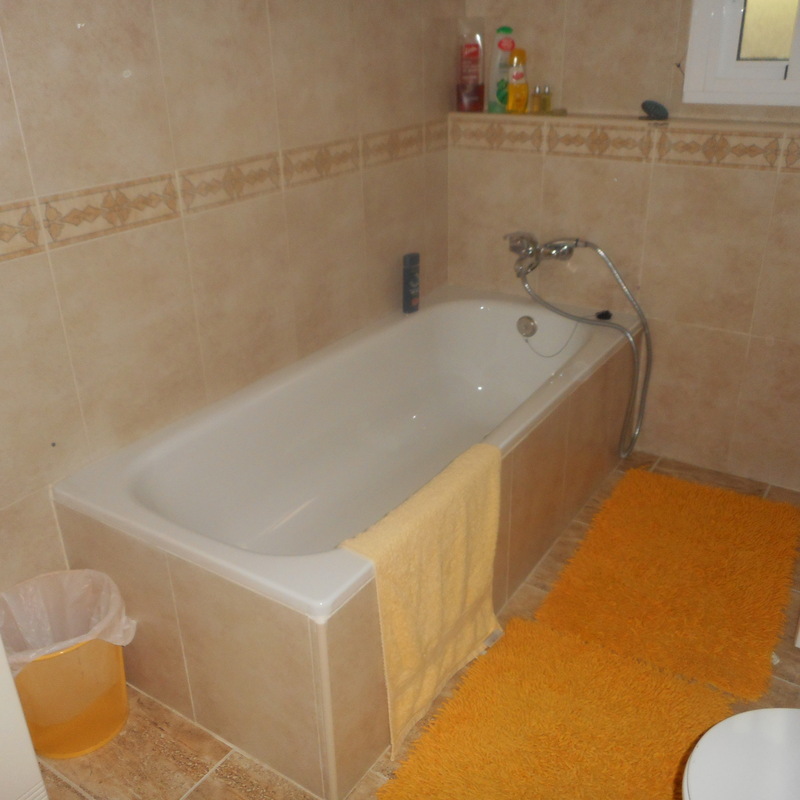 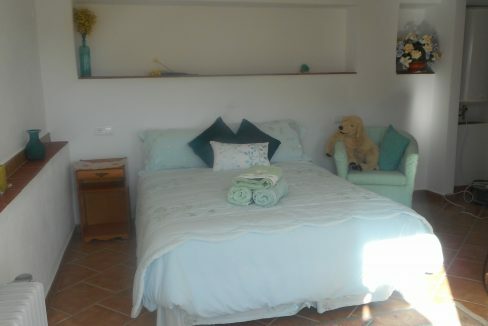 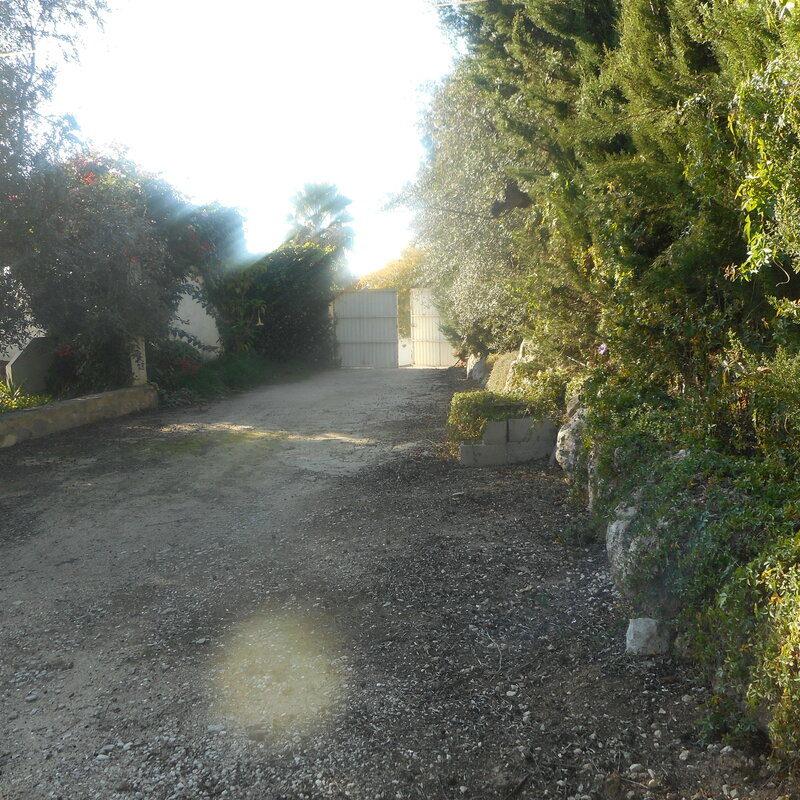 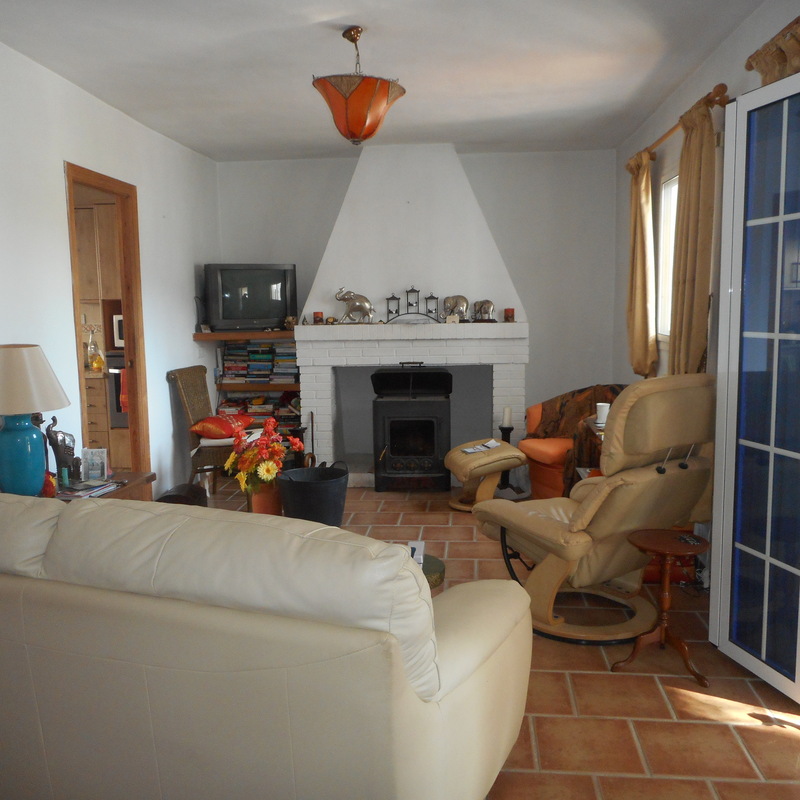 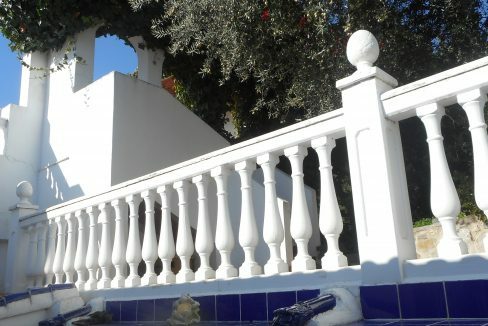 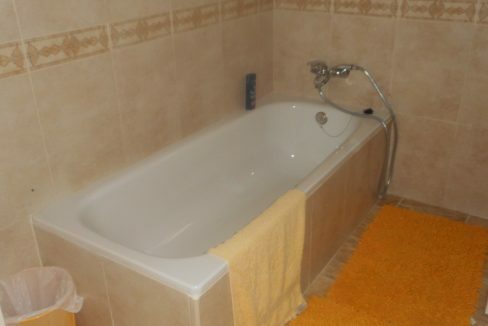 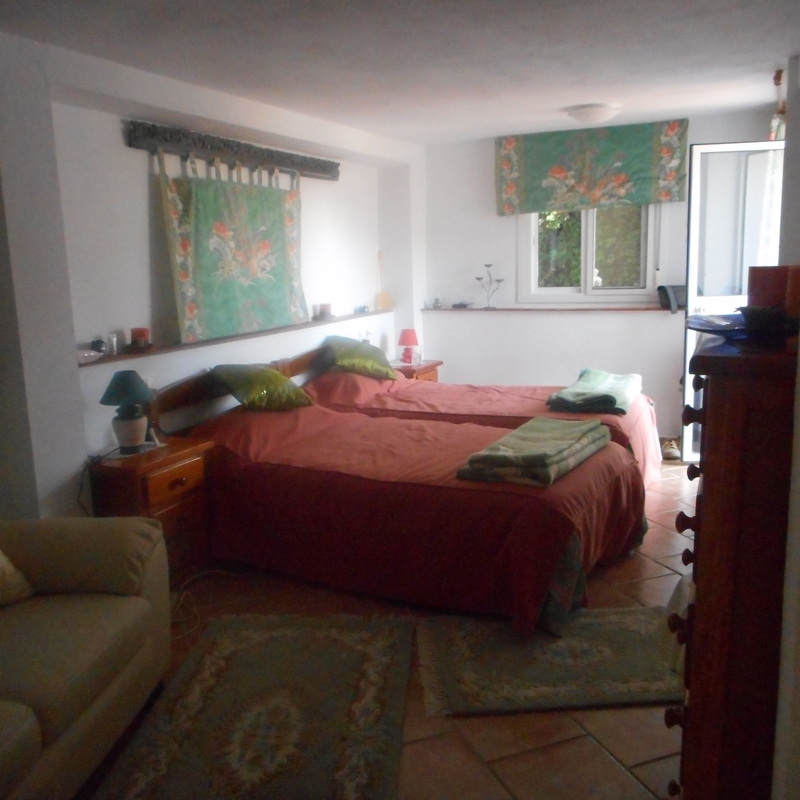 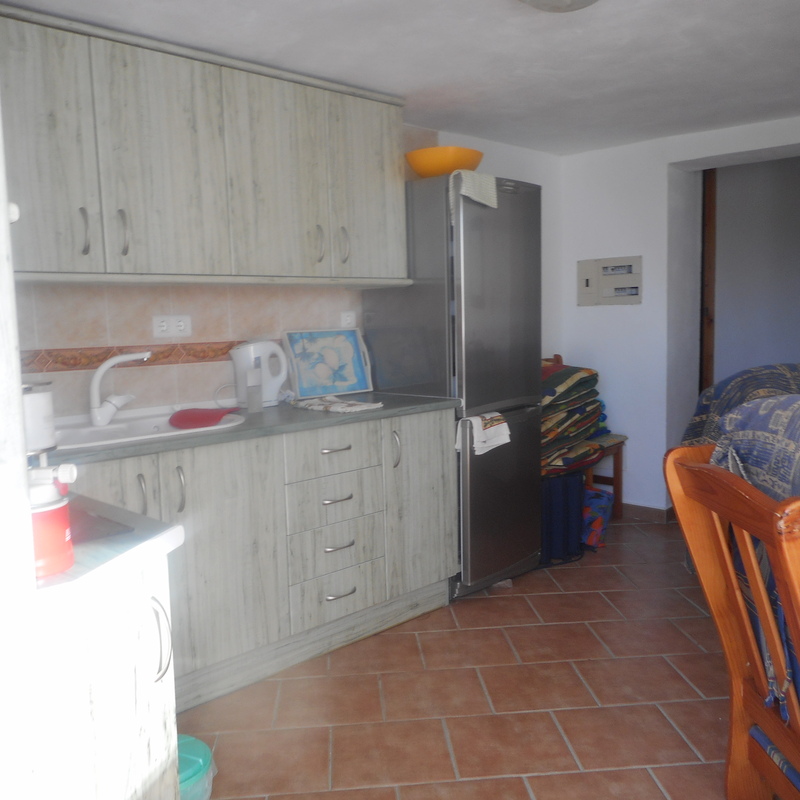 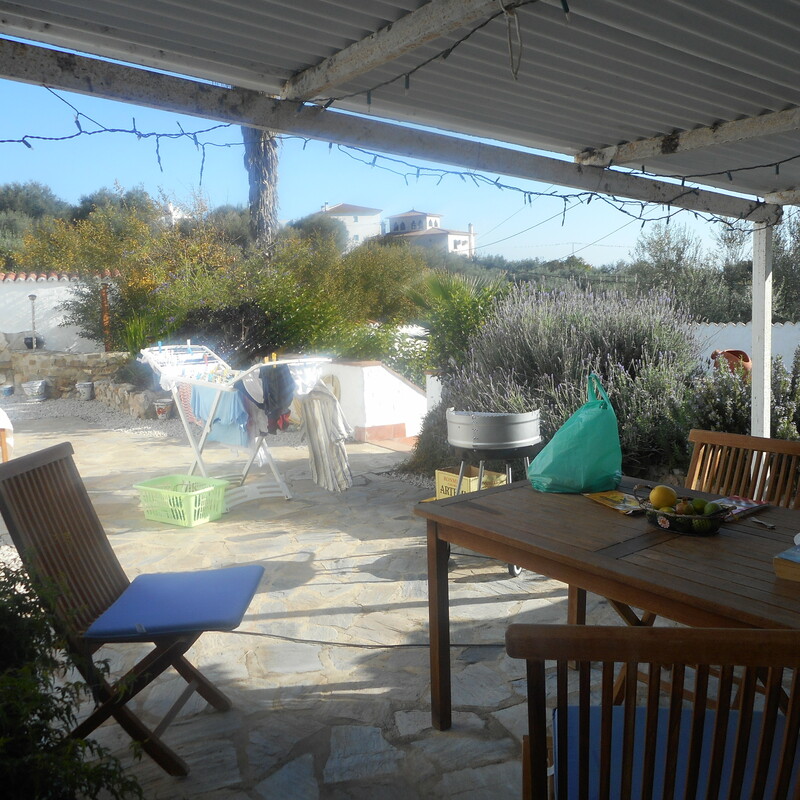 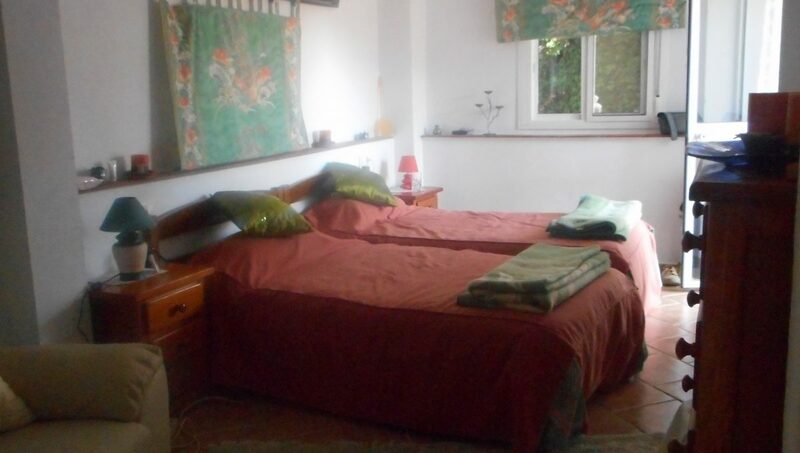 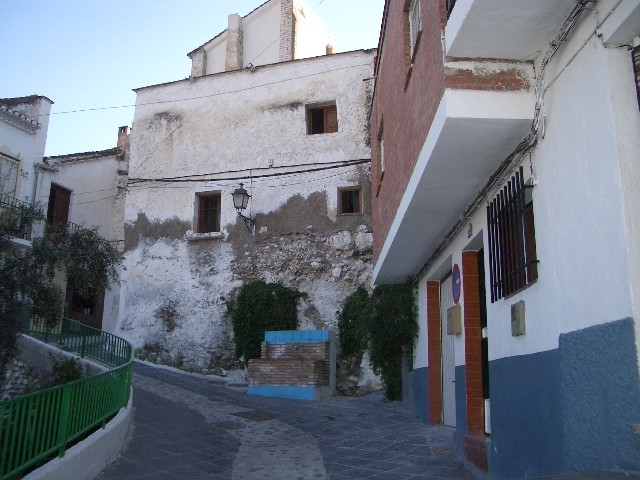 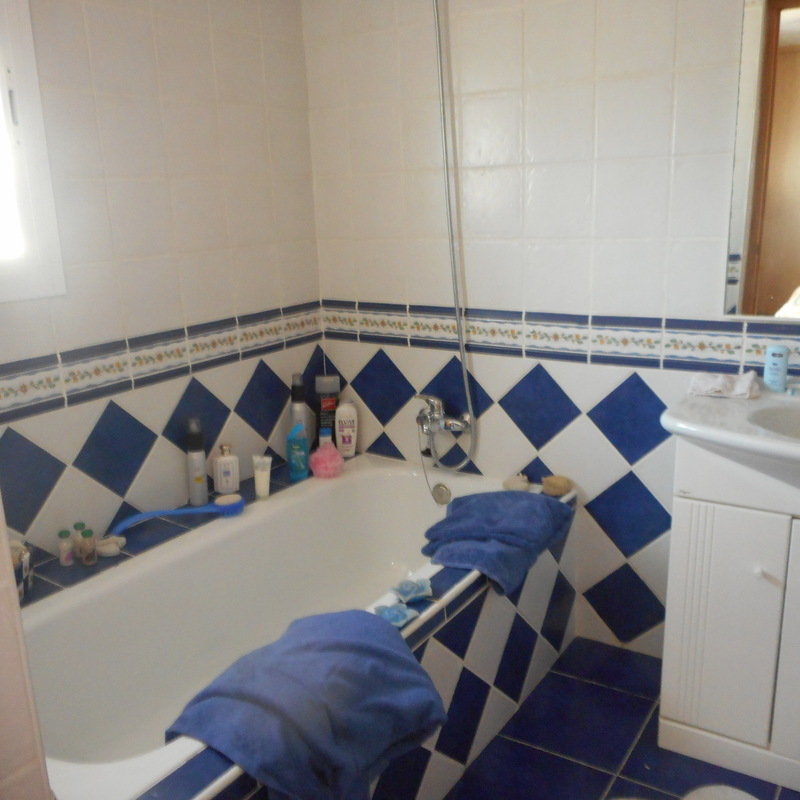 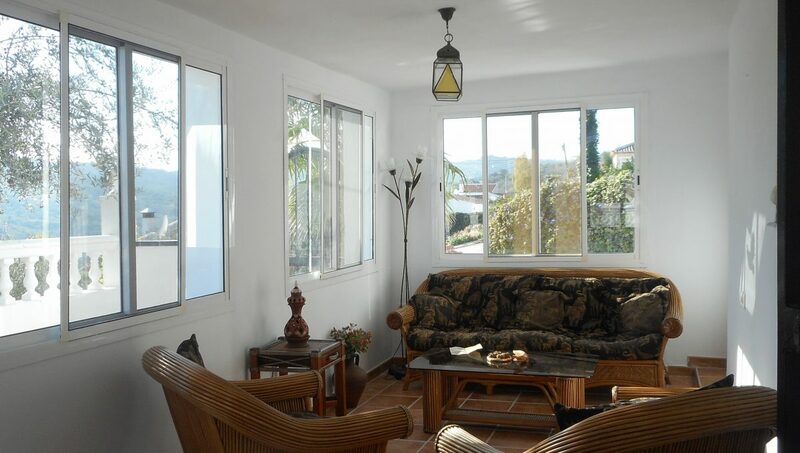 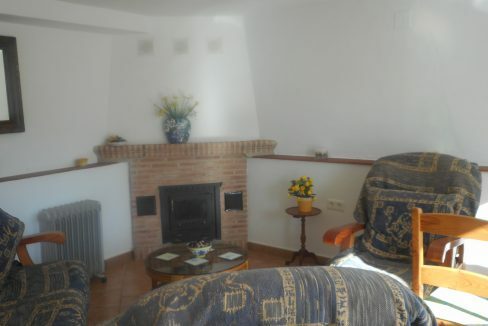 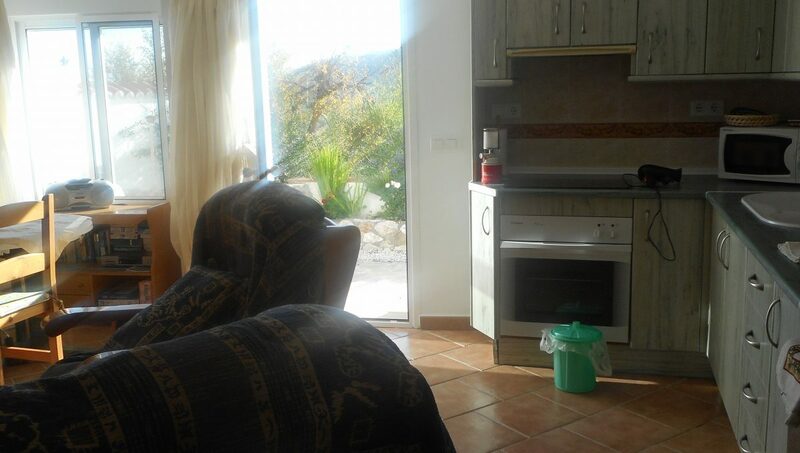 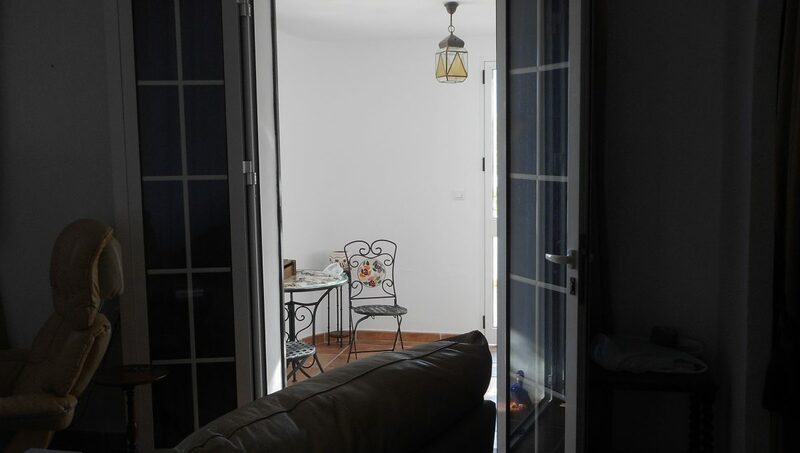 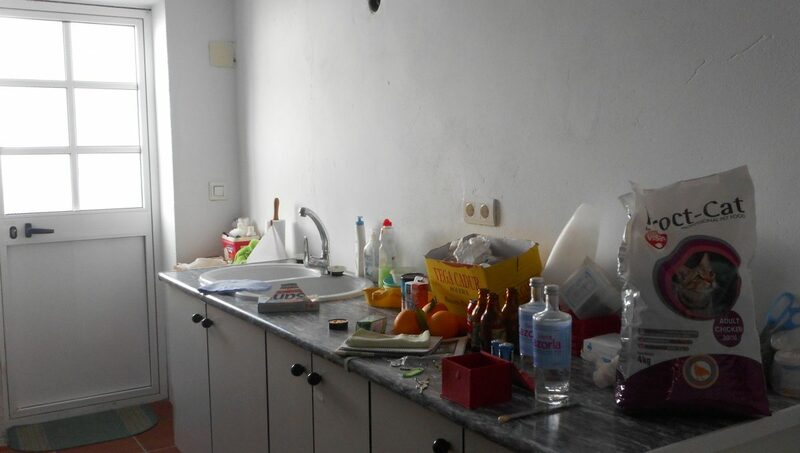 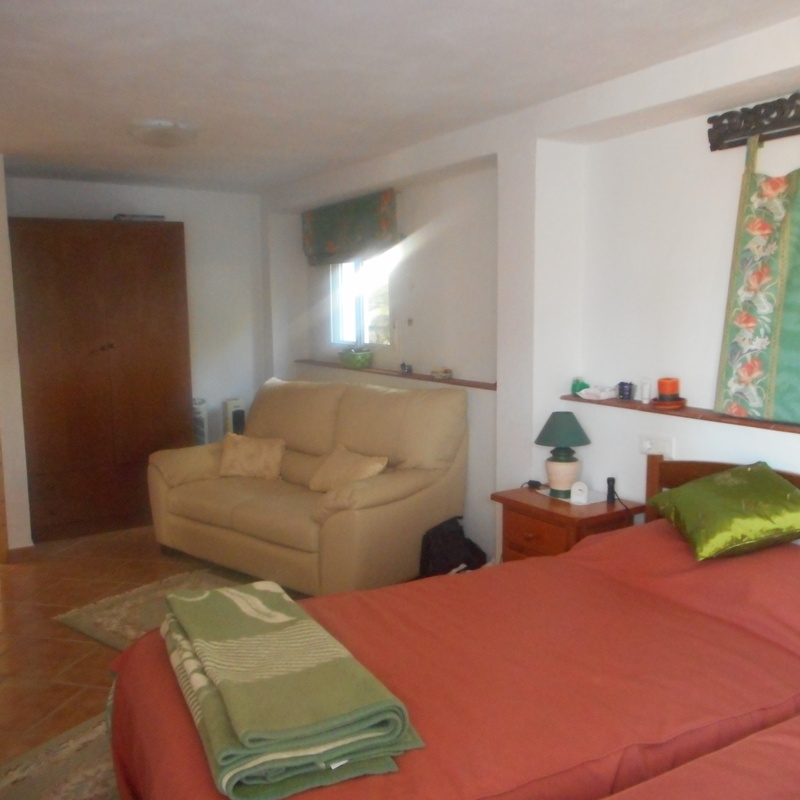 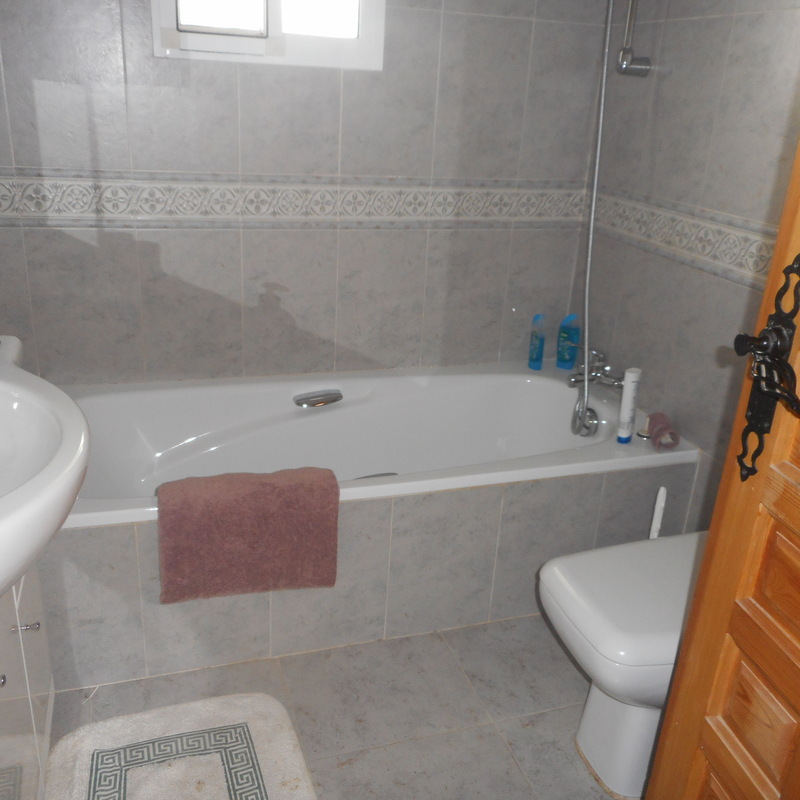 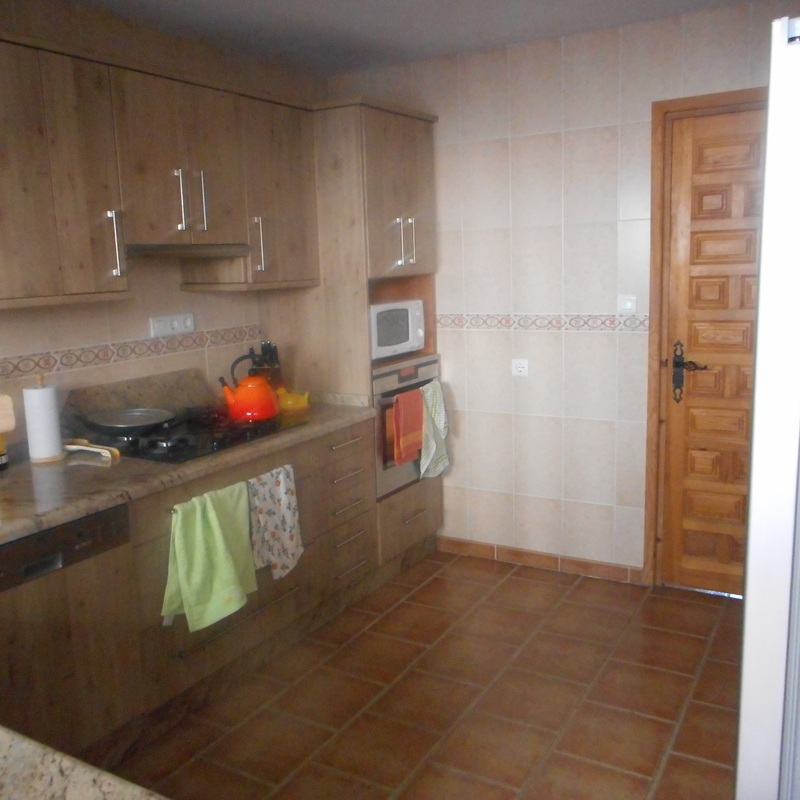 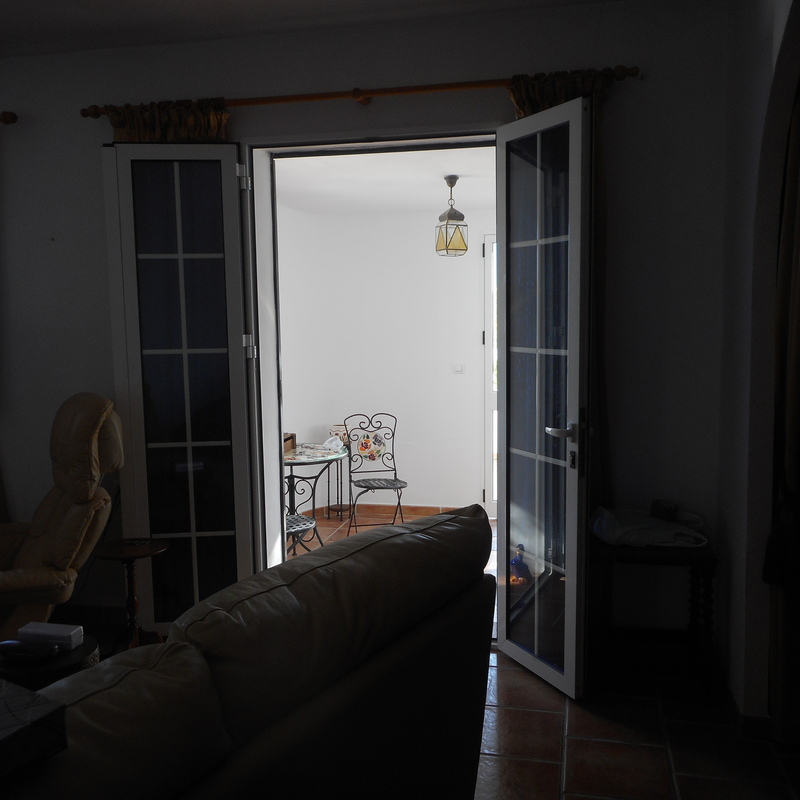 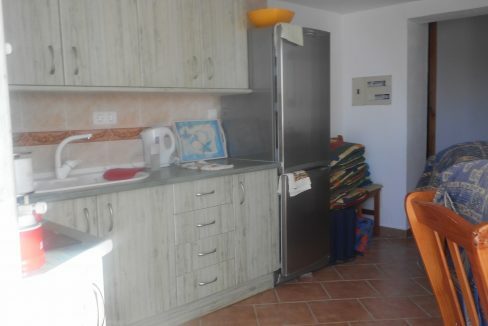 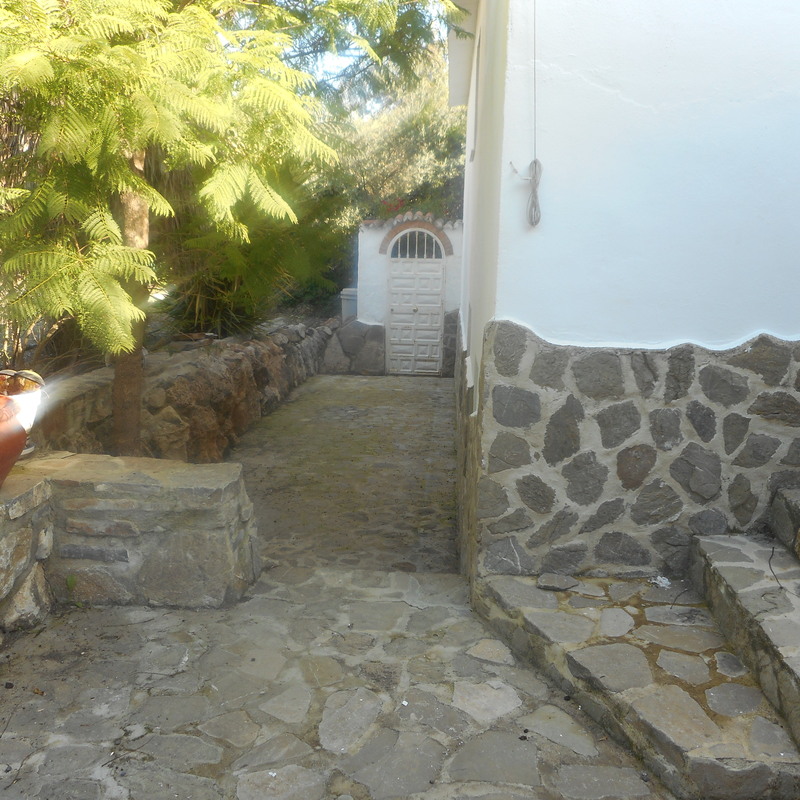 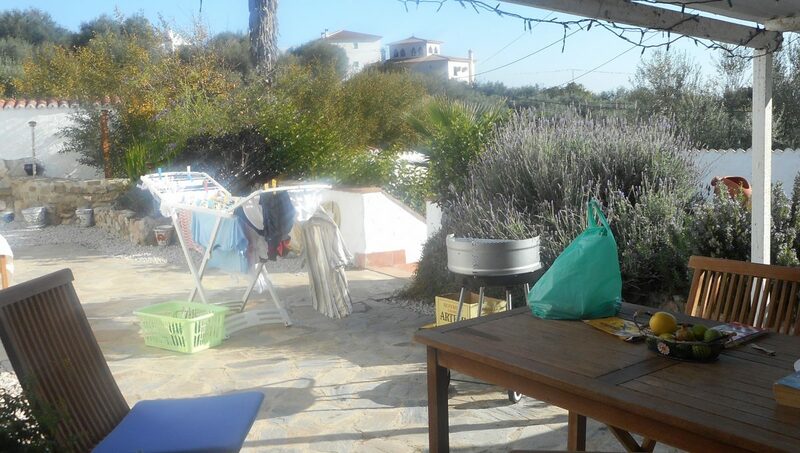 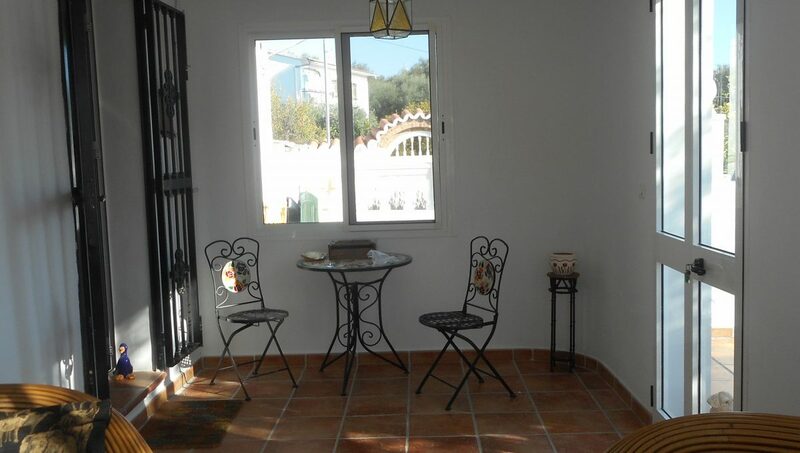 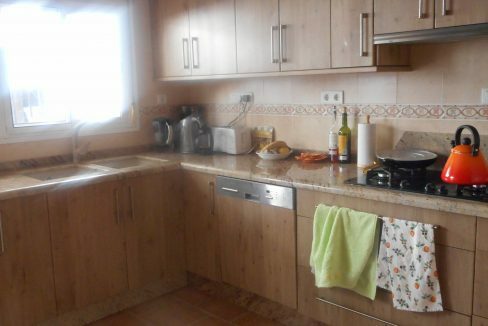 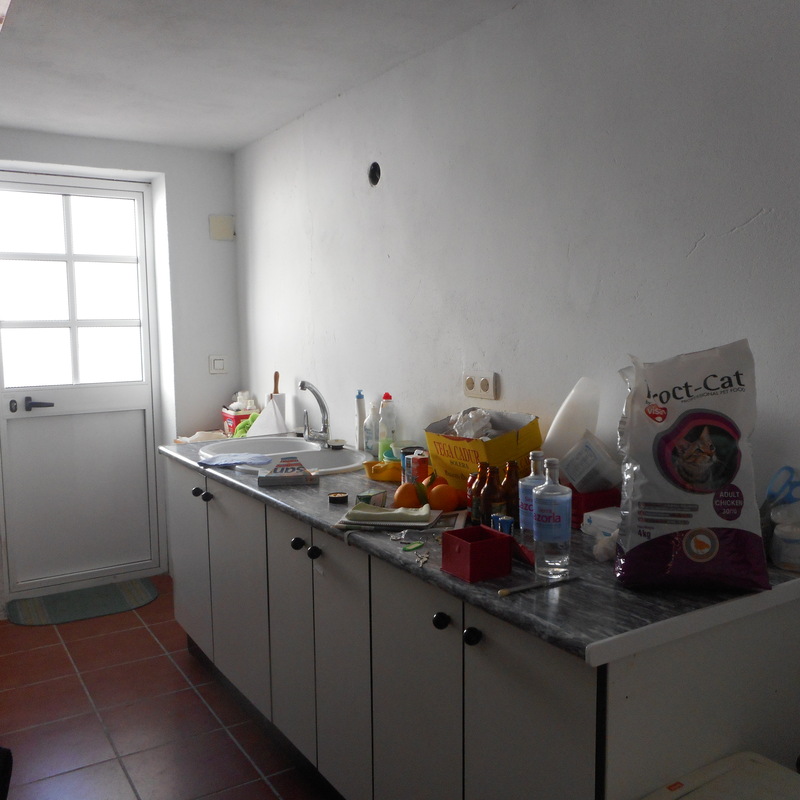 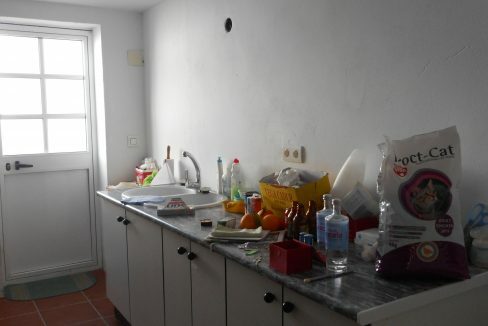 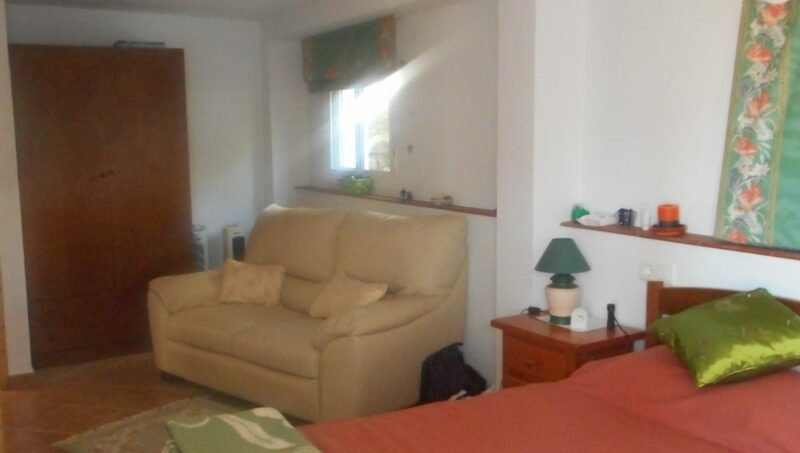 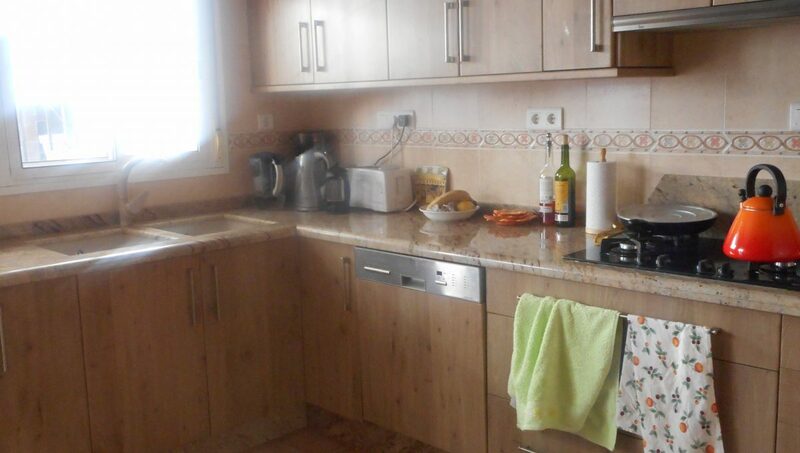 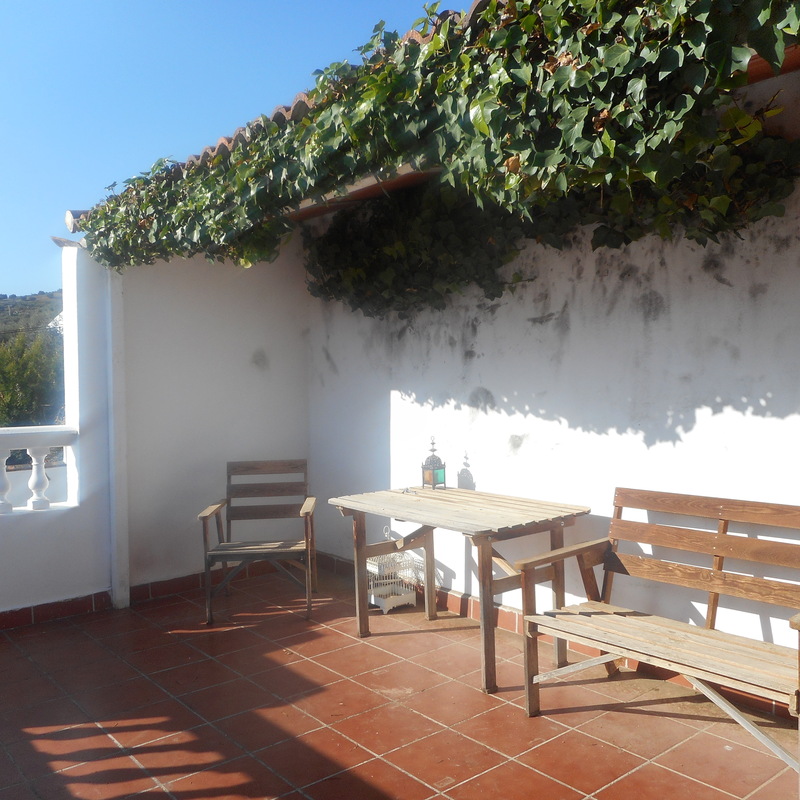 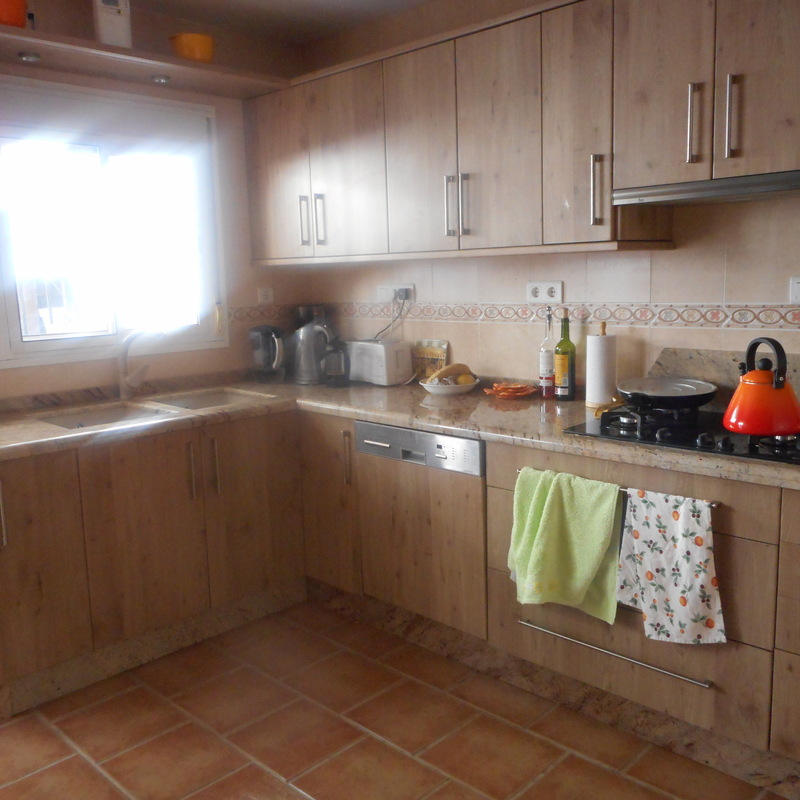 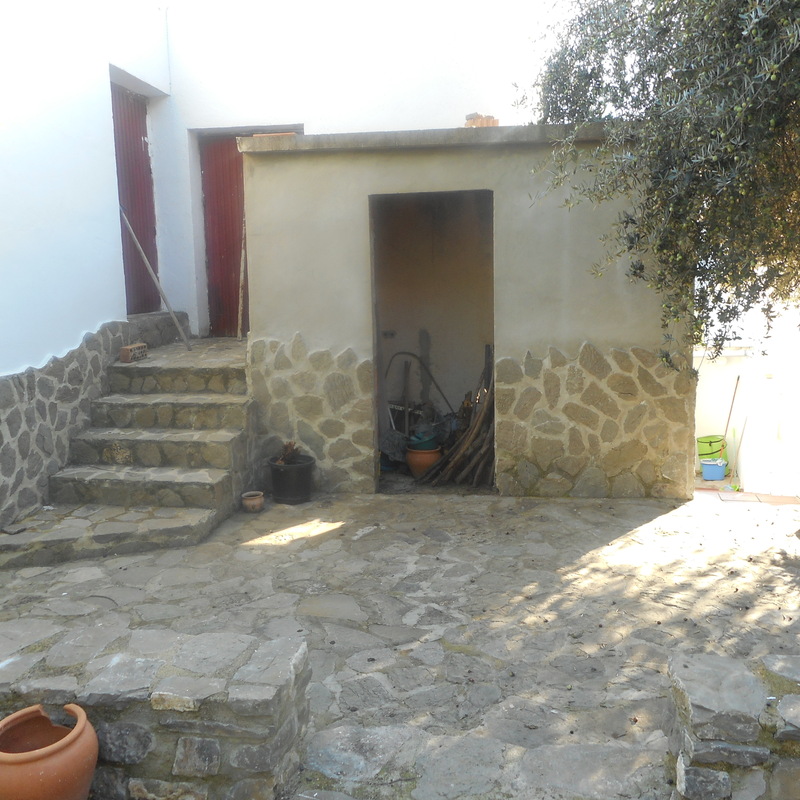 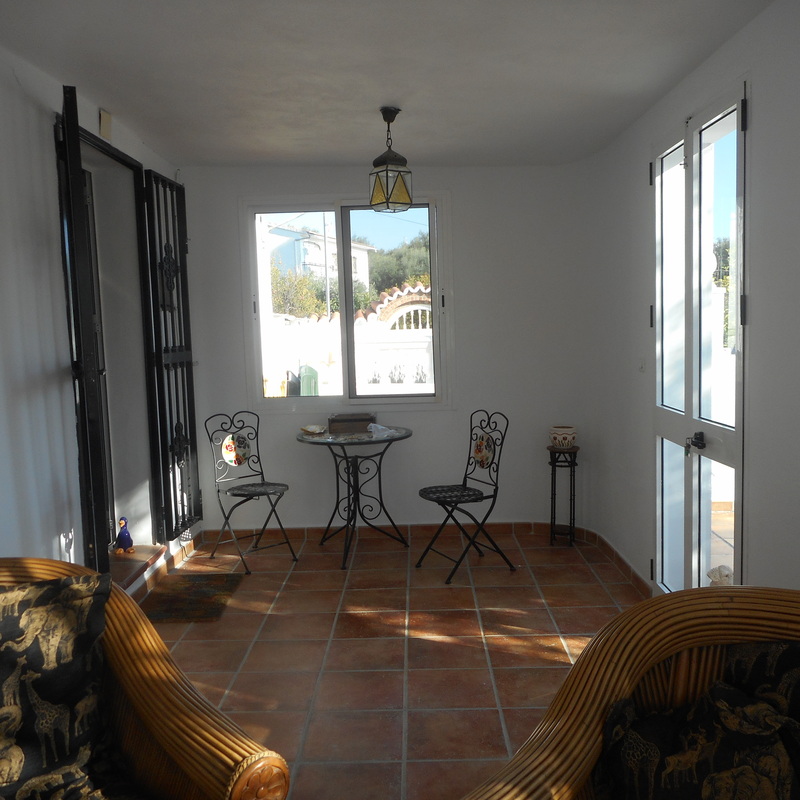 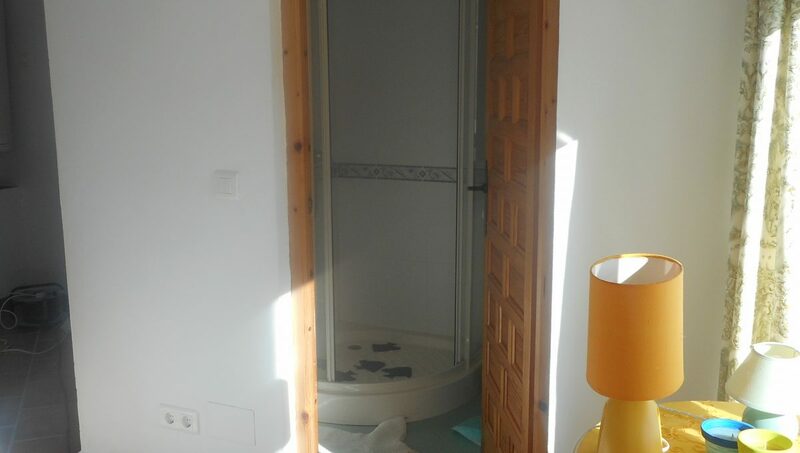 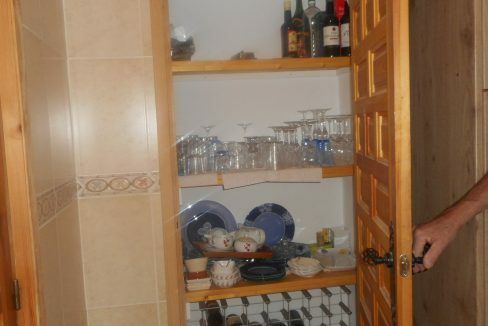 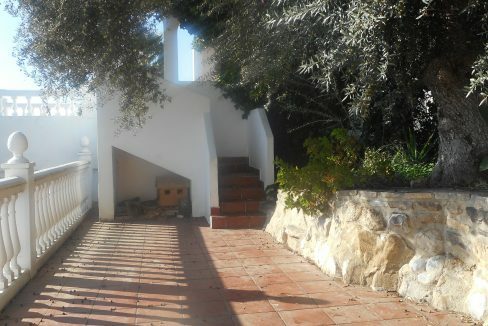 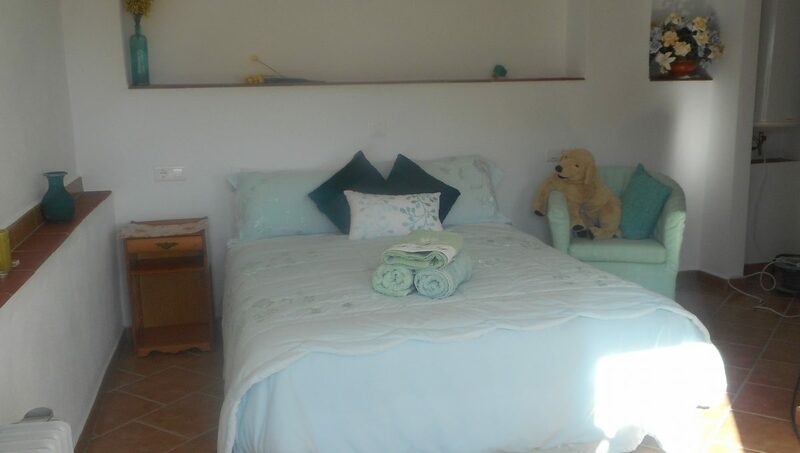 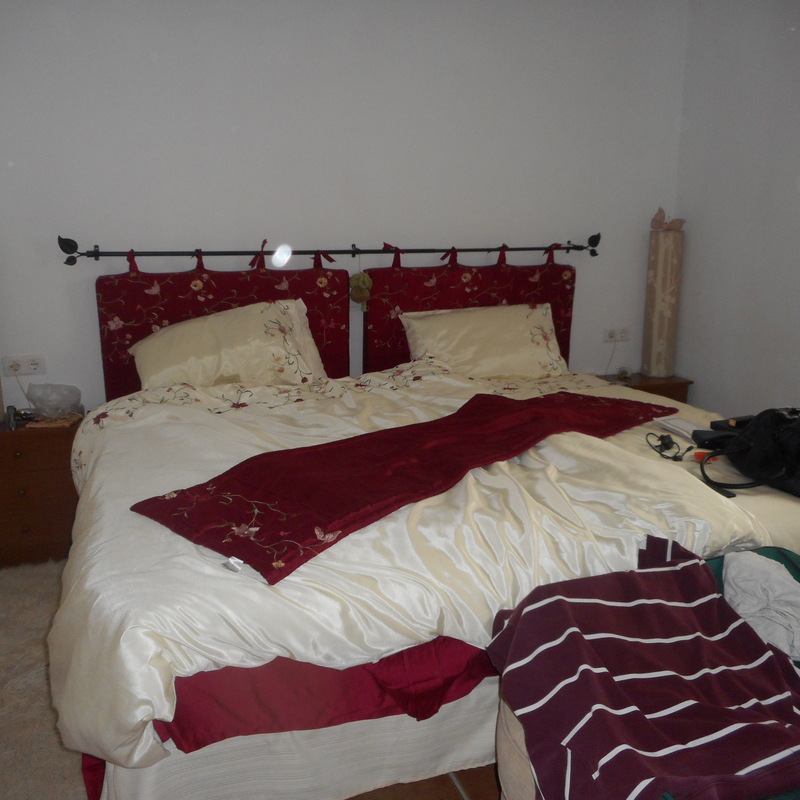 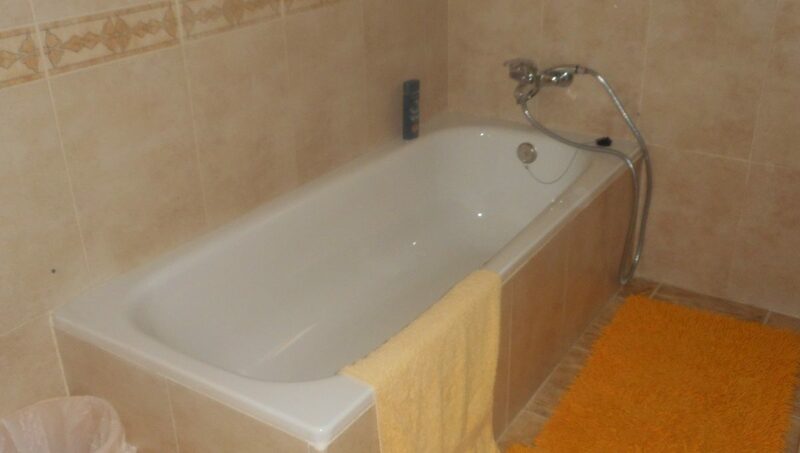 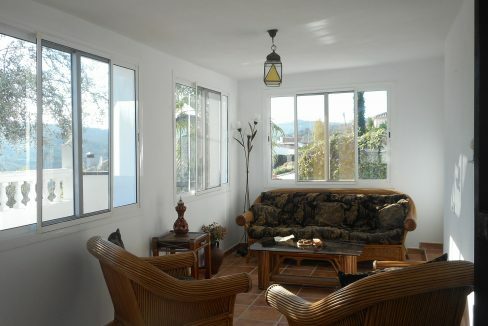 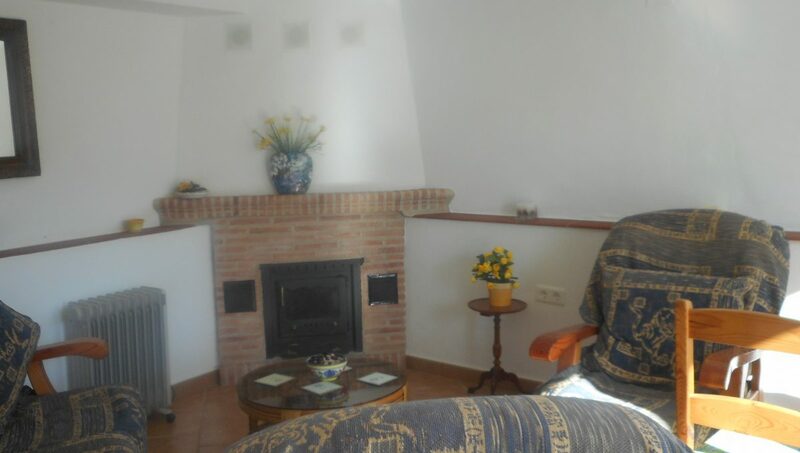 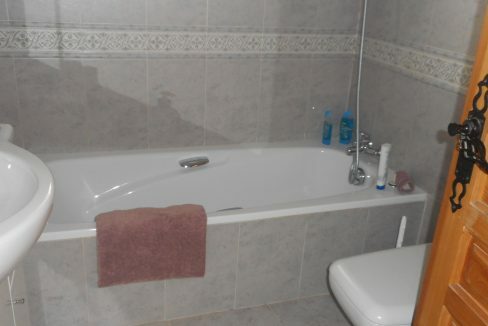 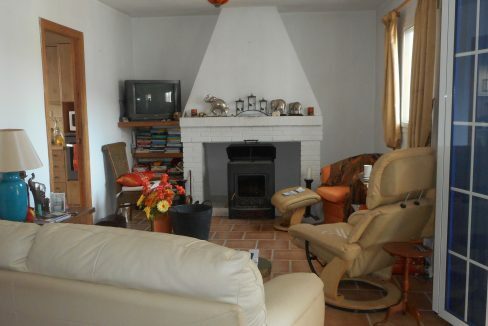 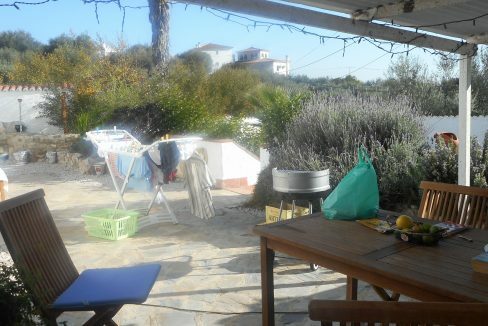 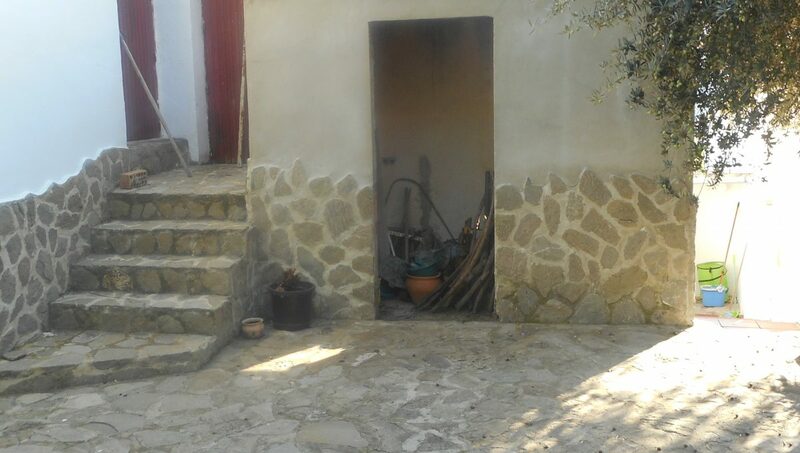 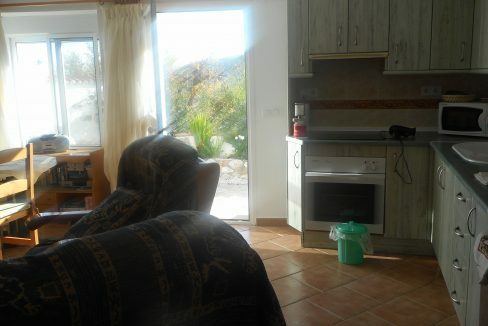 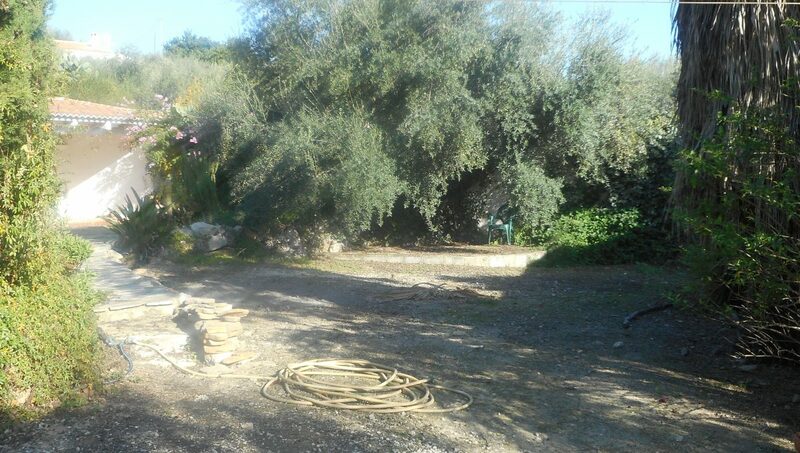 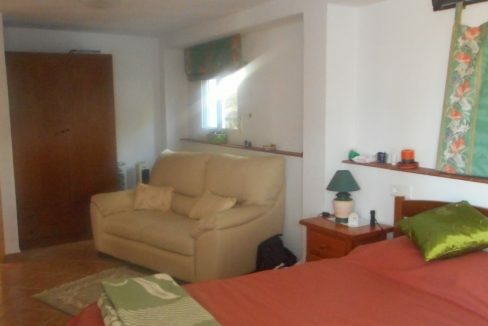 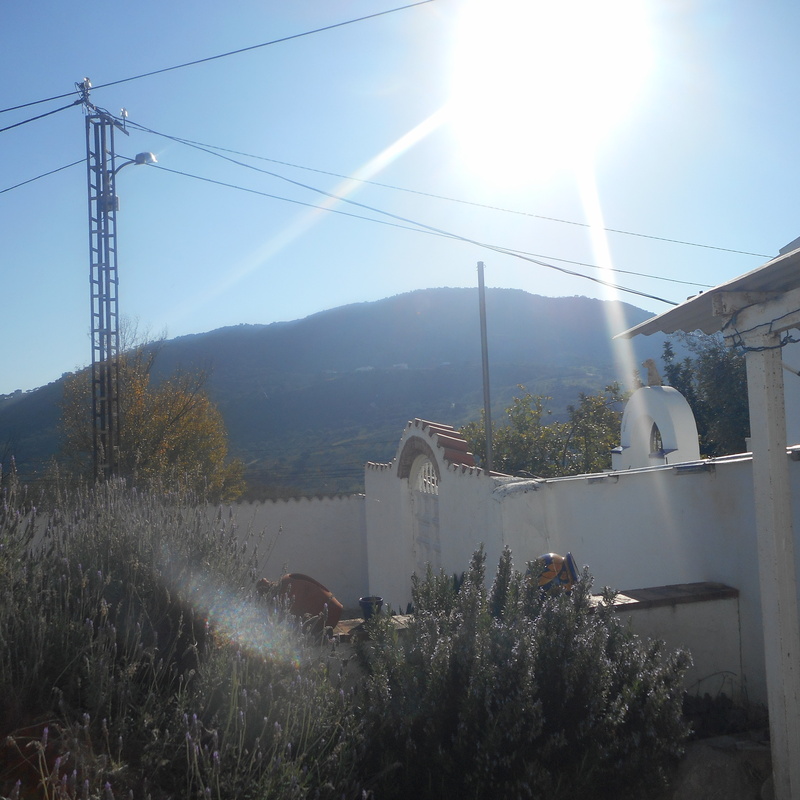 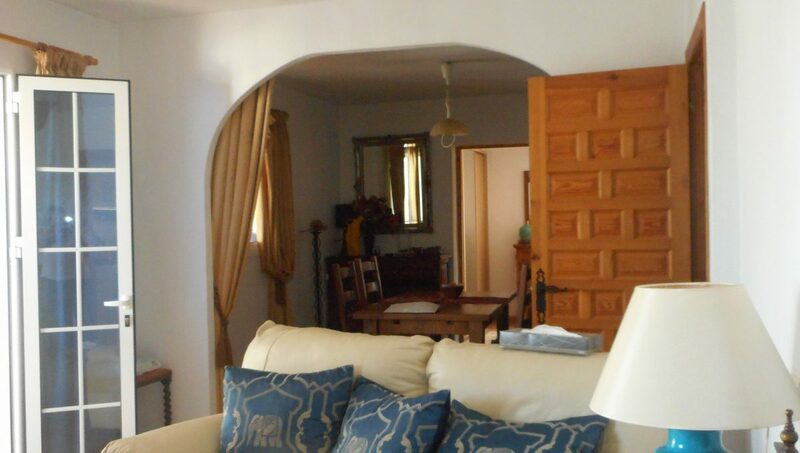 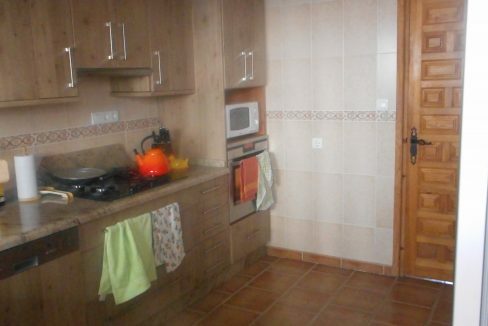 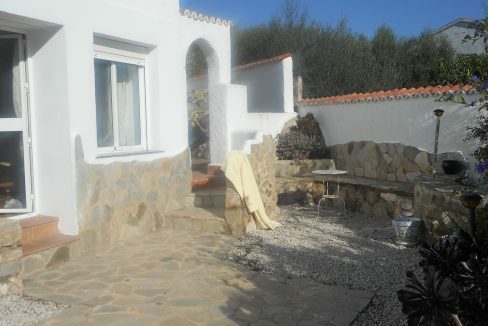 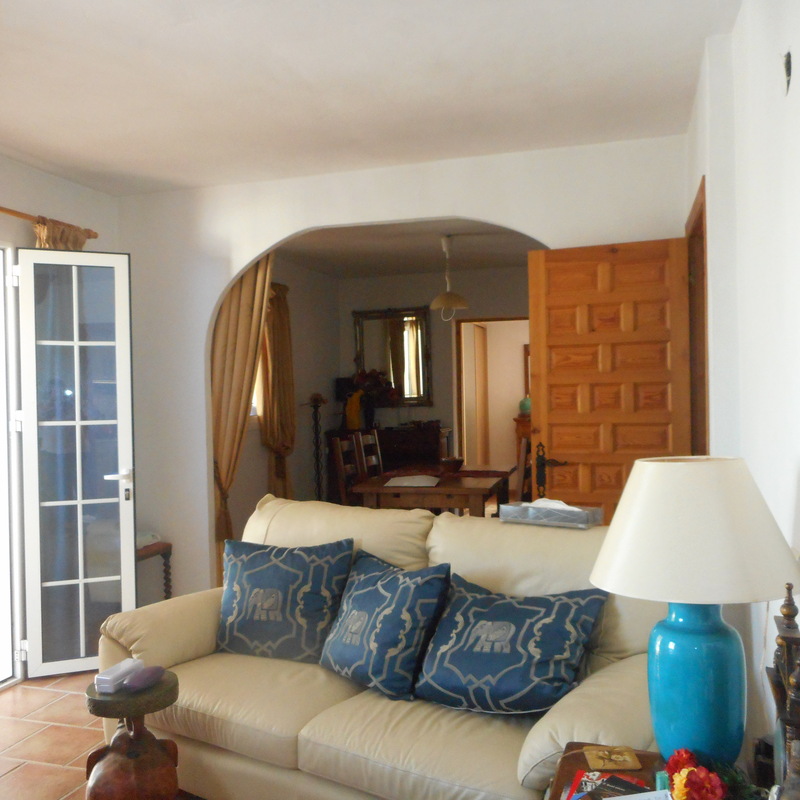 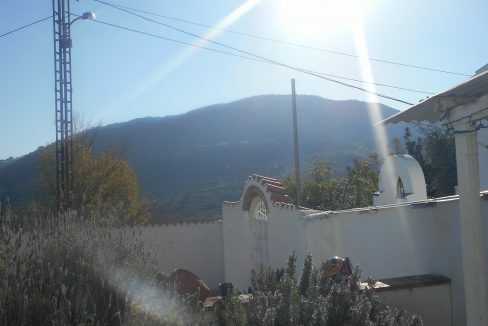 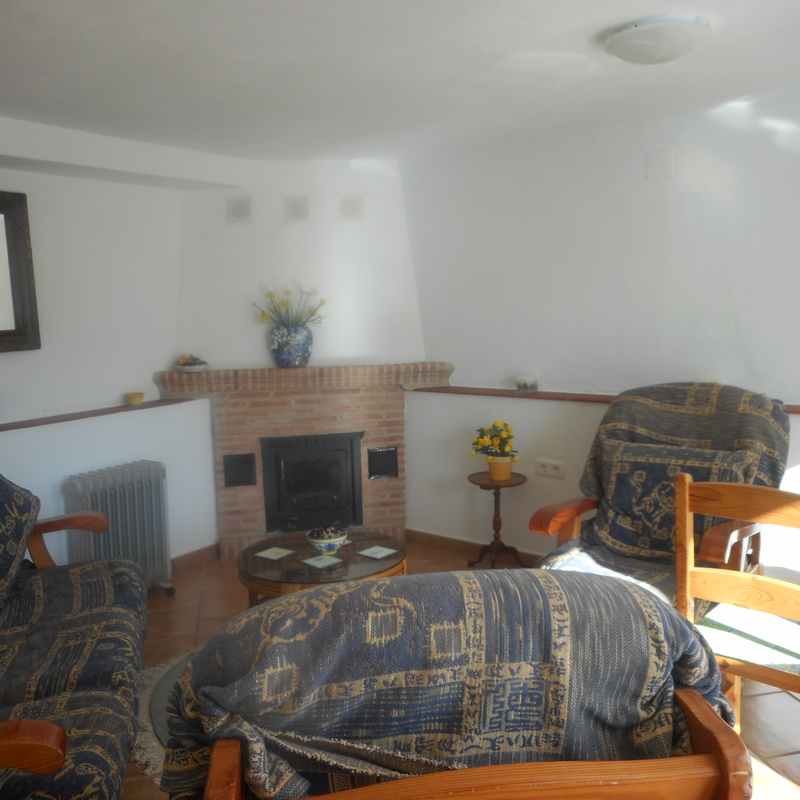 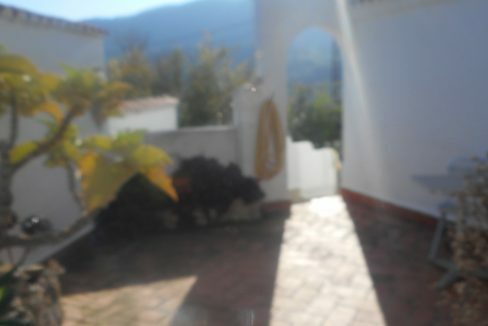 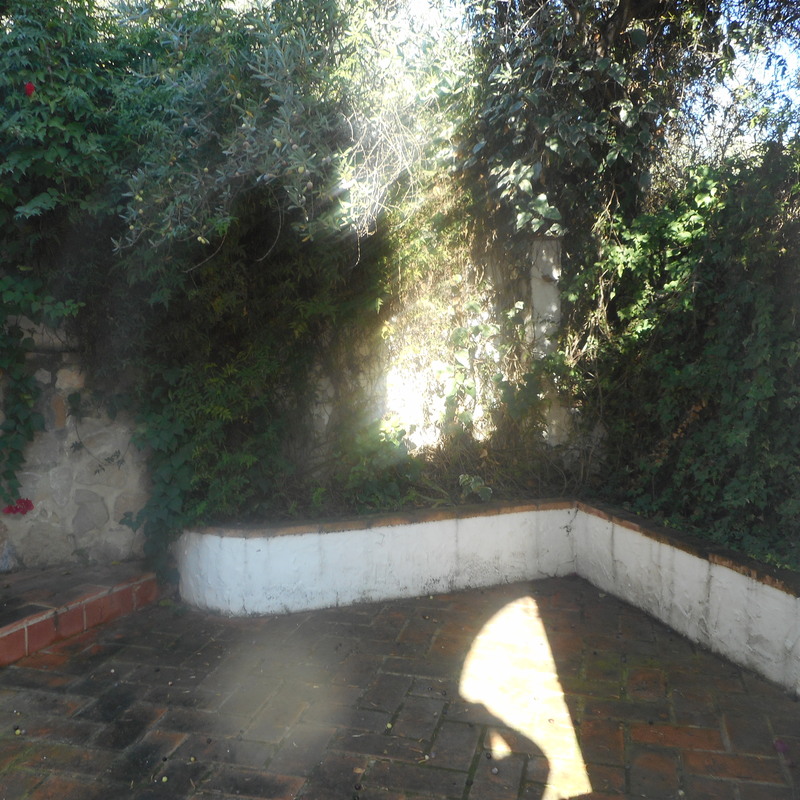 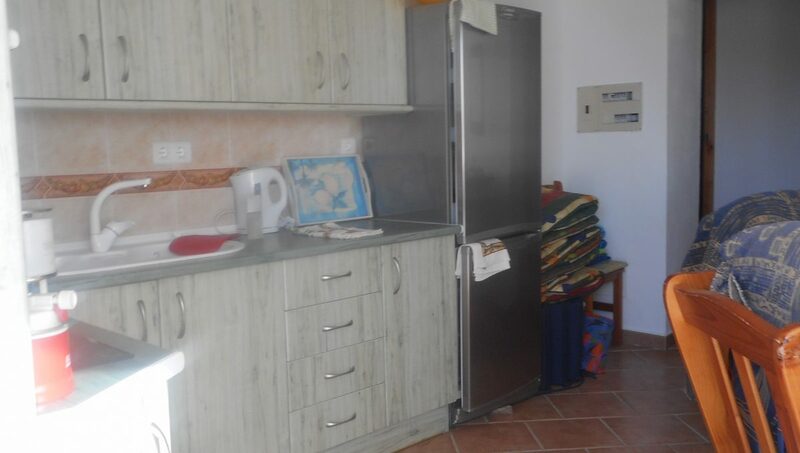 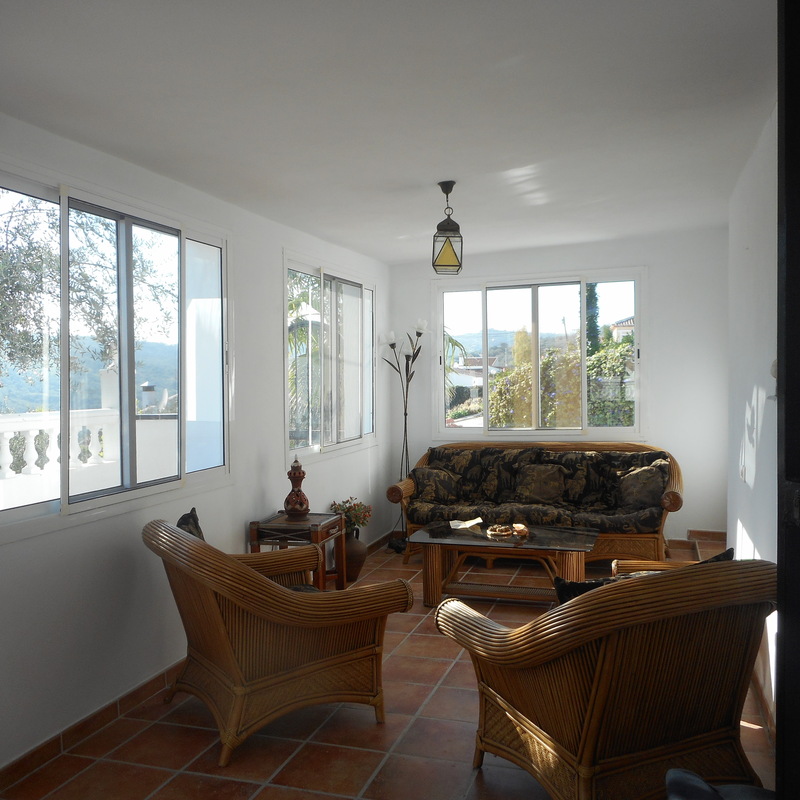 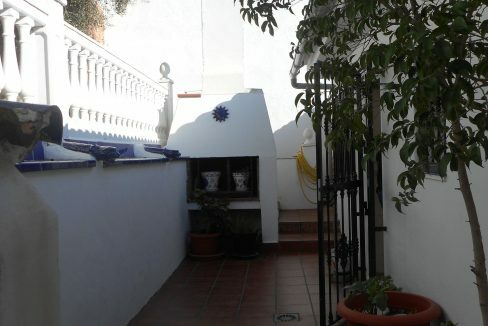 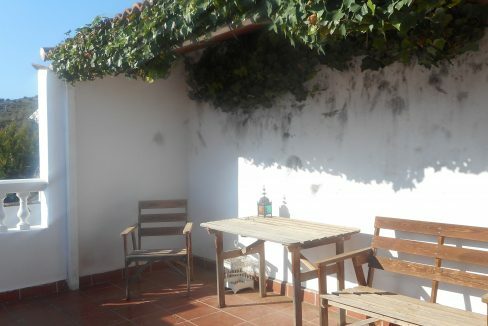 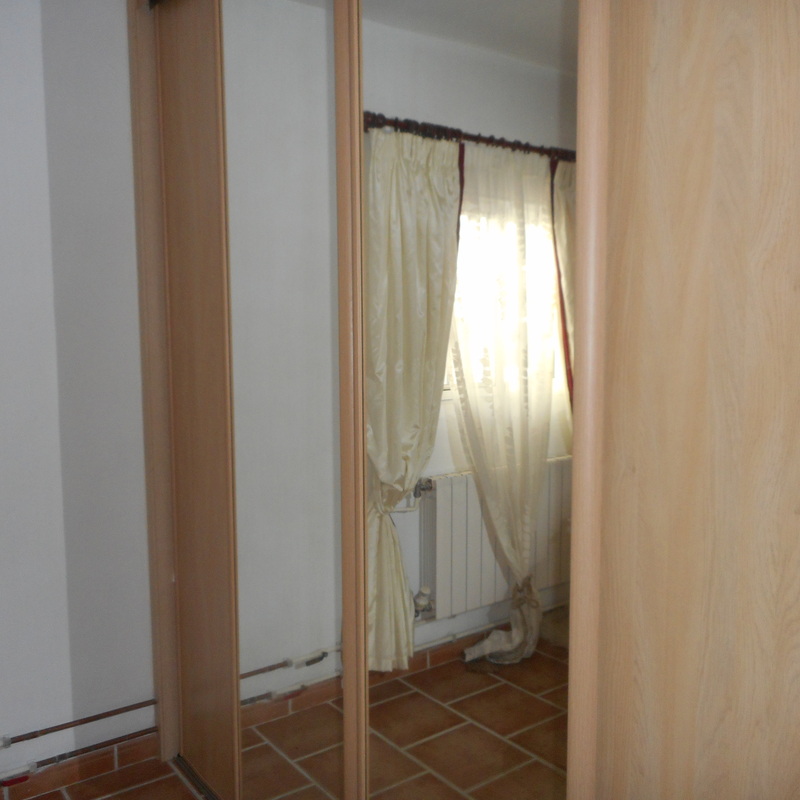 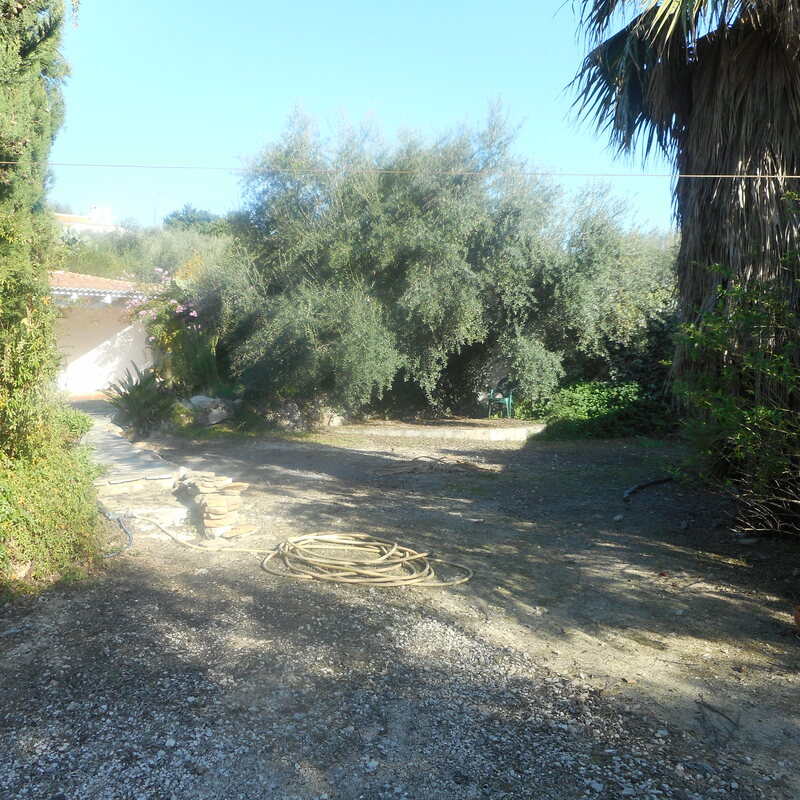 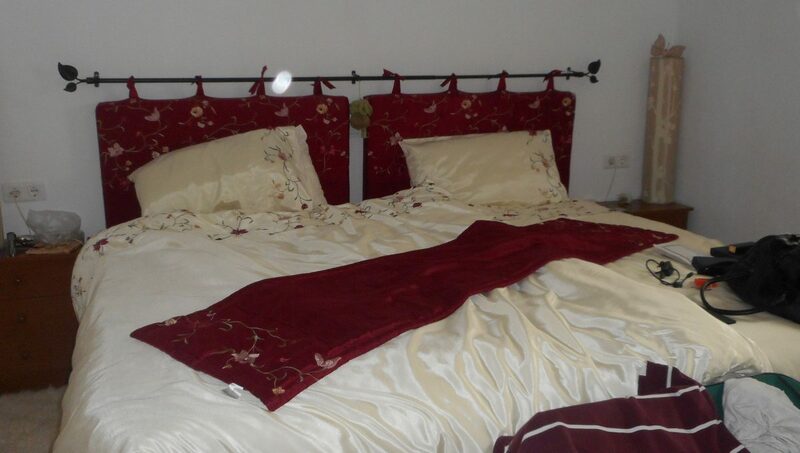 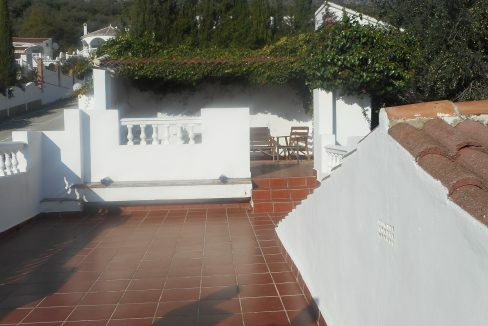 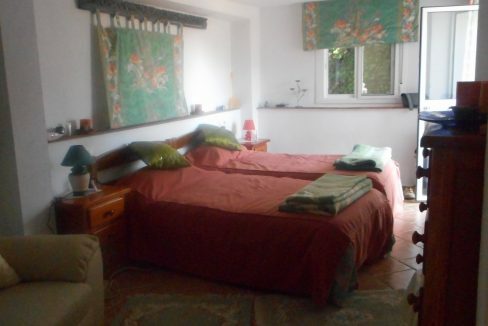 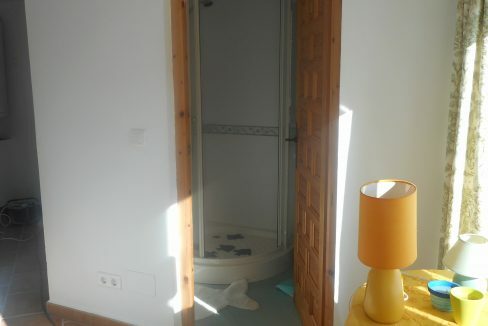 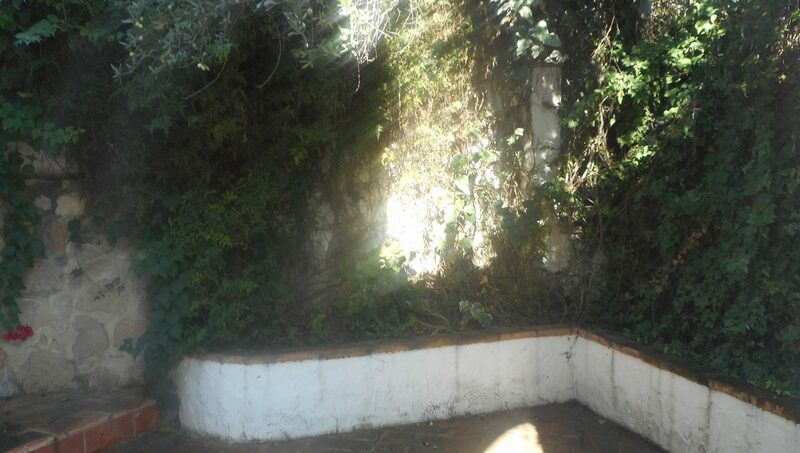 Property has a rustic feel and is tastefully decorated in a quiet location convenient for shops, bars and restaurants. 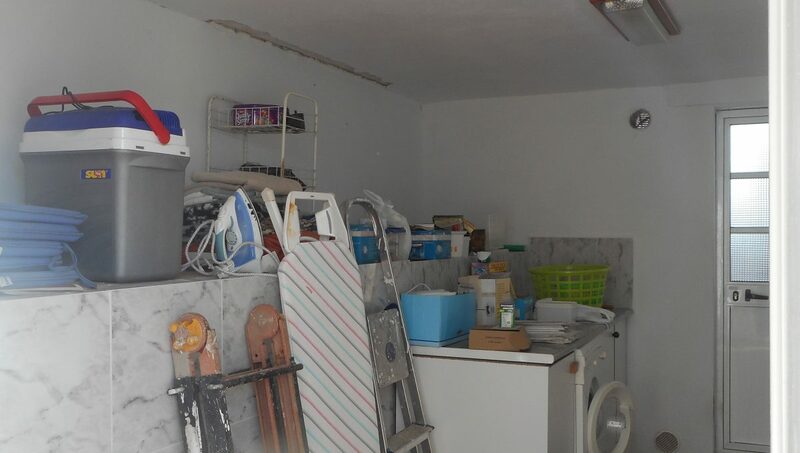 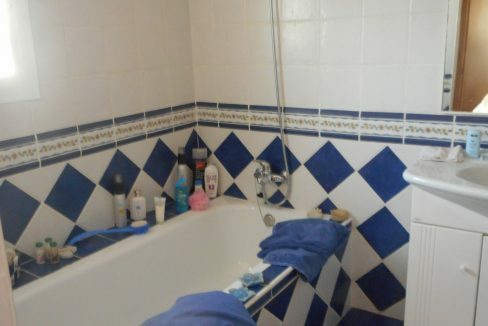 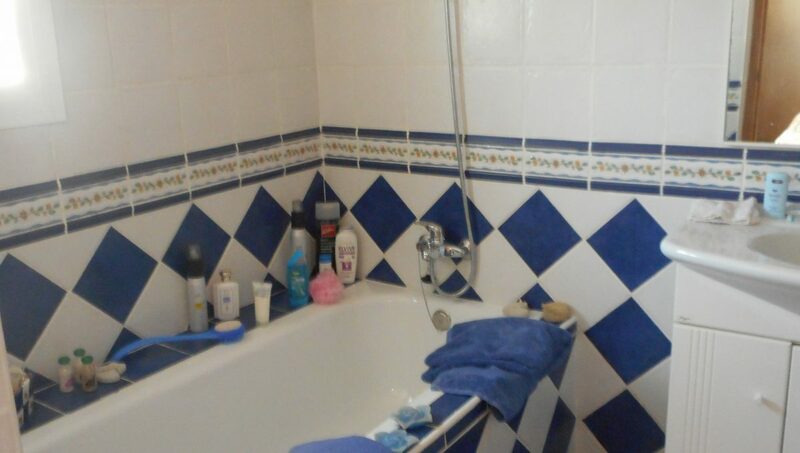 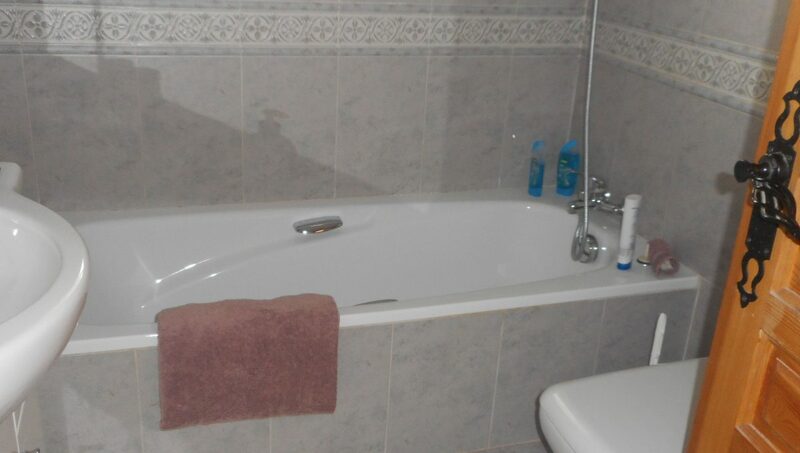 There is some work to do but the scope of what you can achieve here with potential of rental income or extra family accommodation is extensive.